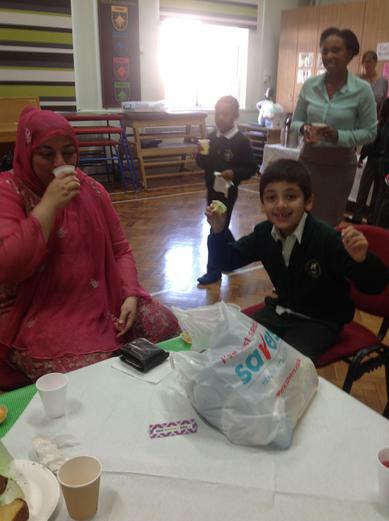 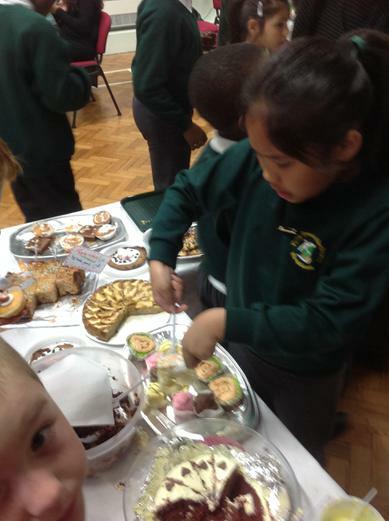 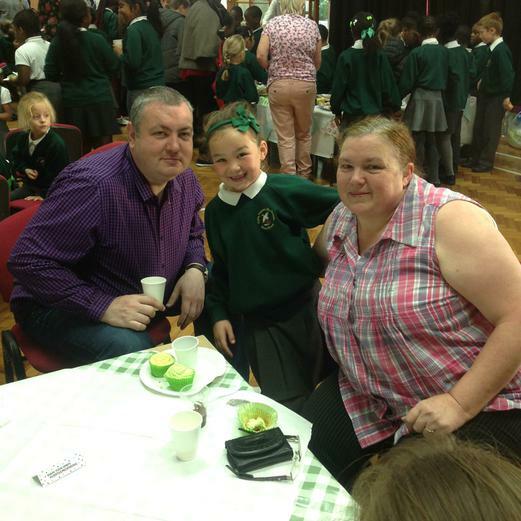 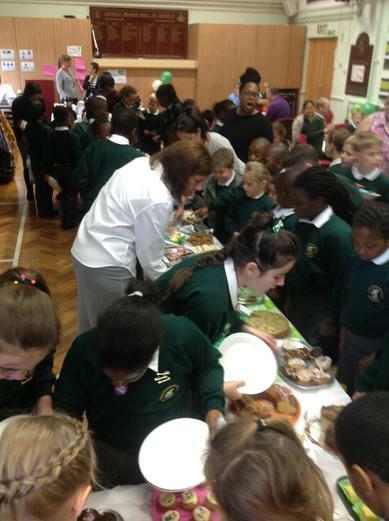 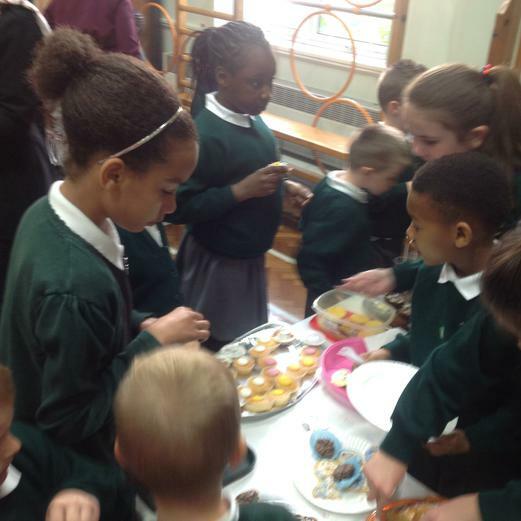 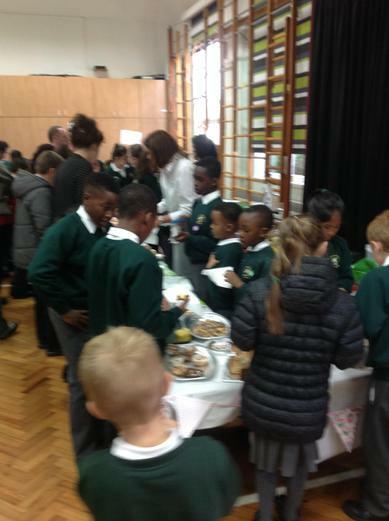 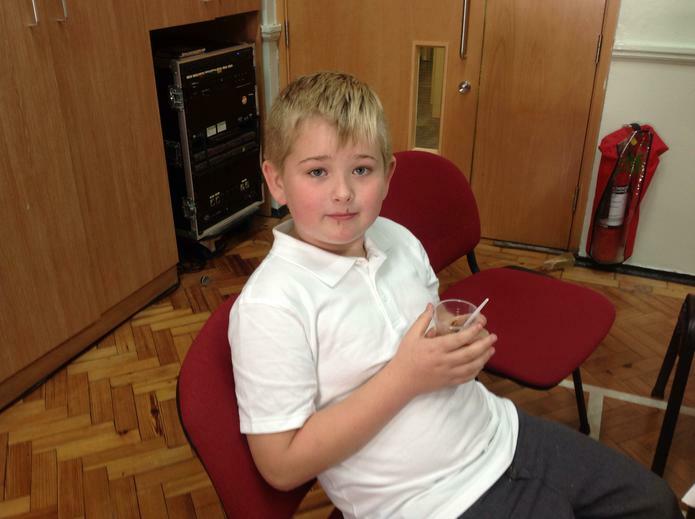 A big thank you to everyone who donated food for our Harvest Festival. 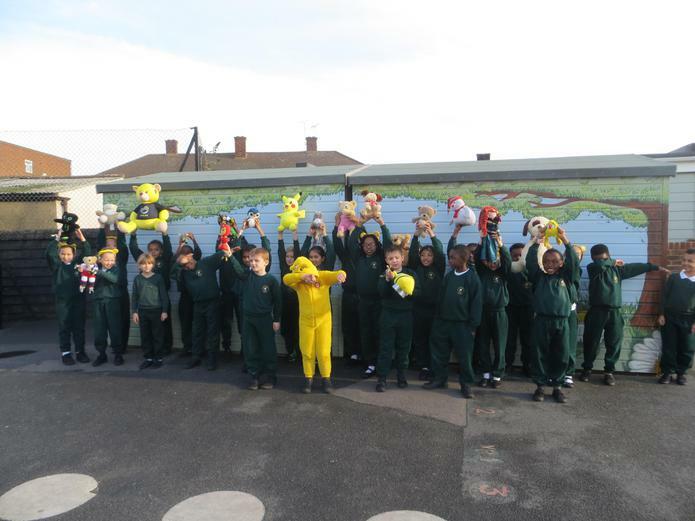 The charity Mark McArthy's Magic Moments visited our special Harvest Assembly, they told us about the work they do at Christmas time distributing the food to families affected by cancer. 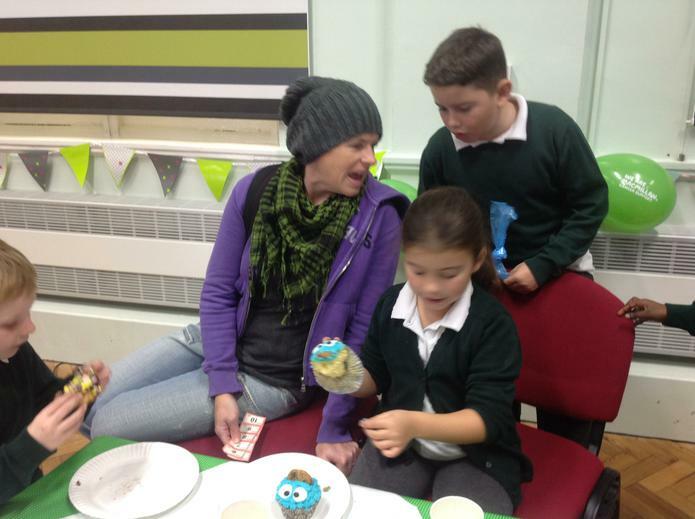 Britney knows someone who is blind. 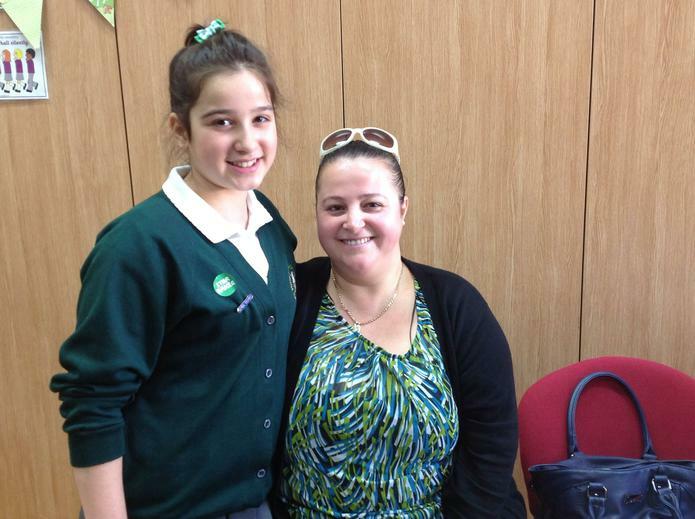 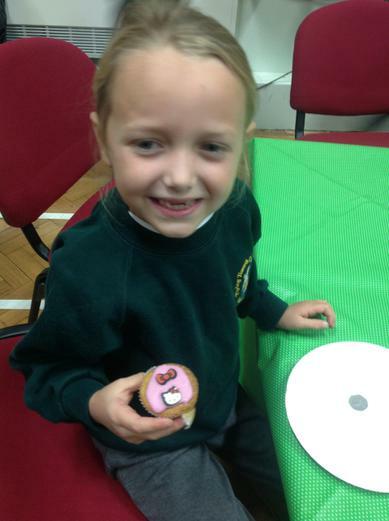 She proudly showed us her sticker which she received for donating some money to support the charity. 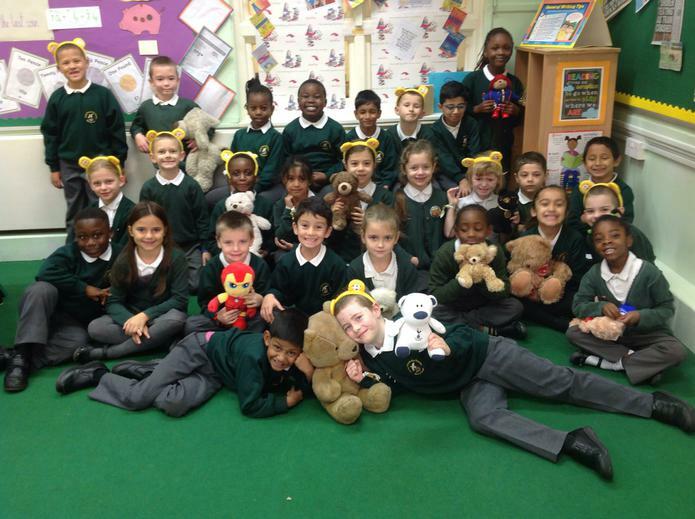 Children In Need 2015 BBC website where you can see all that's going on and be inspired to get involved! 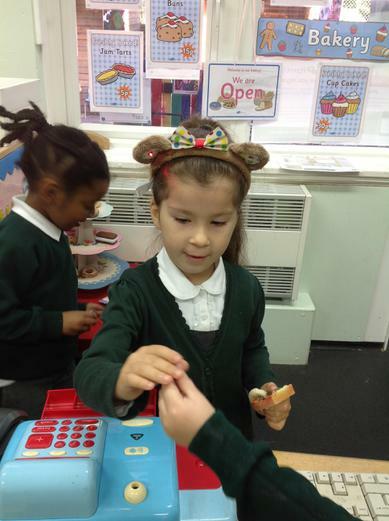 Remembrance Day 2015 Find out more about how we remember, what we remember, remembrance events, World War 1 and lots more! 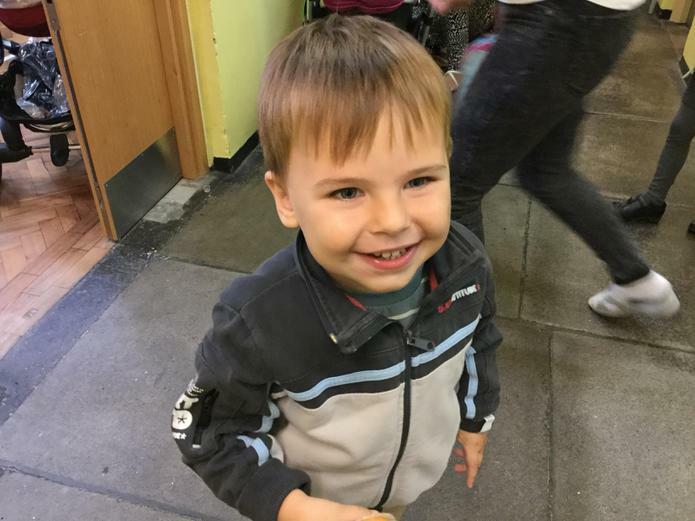 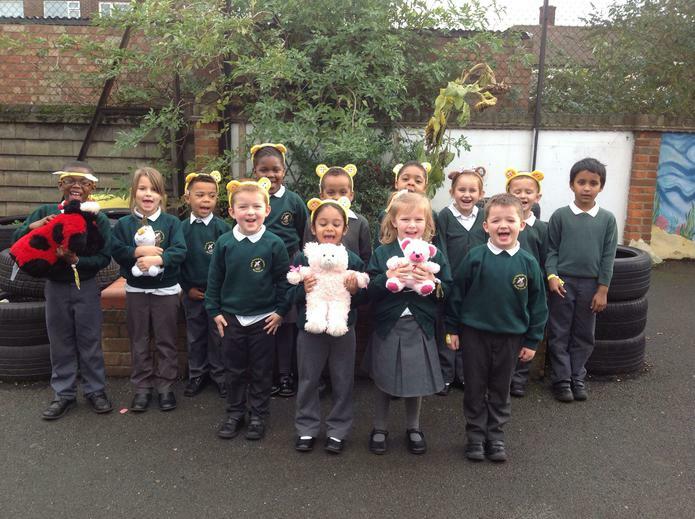 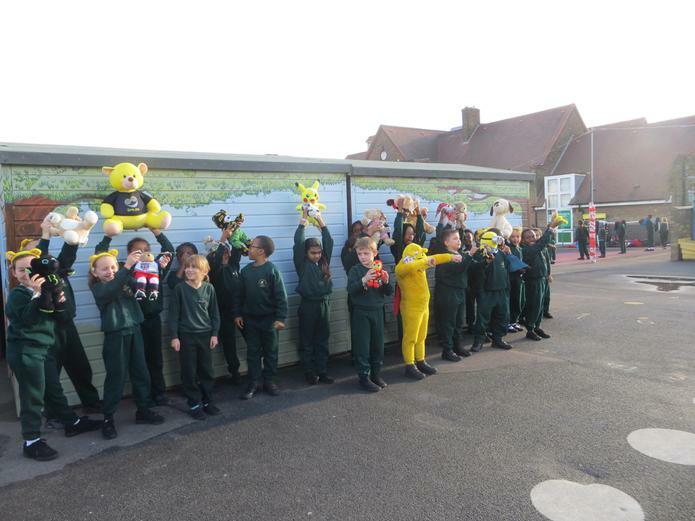 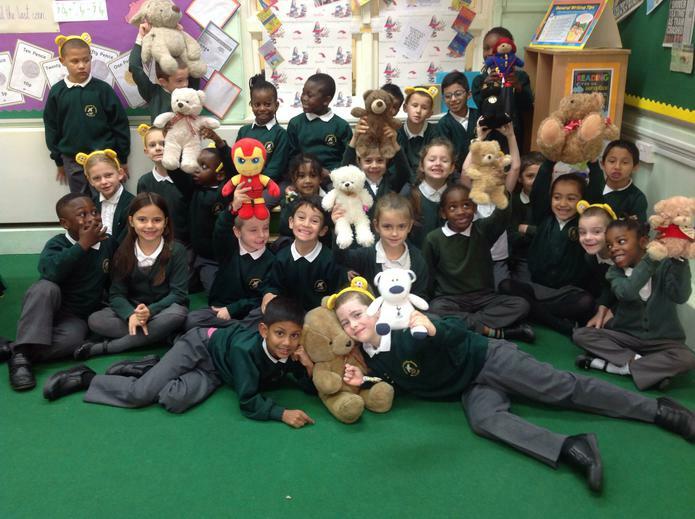 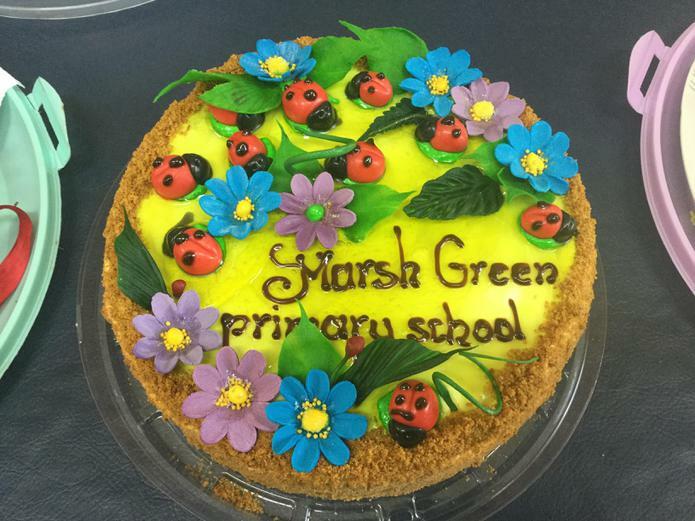 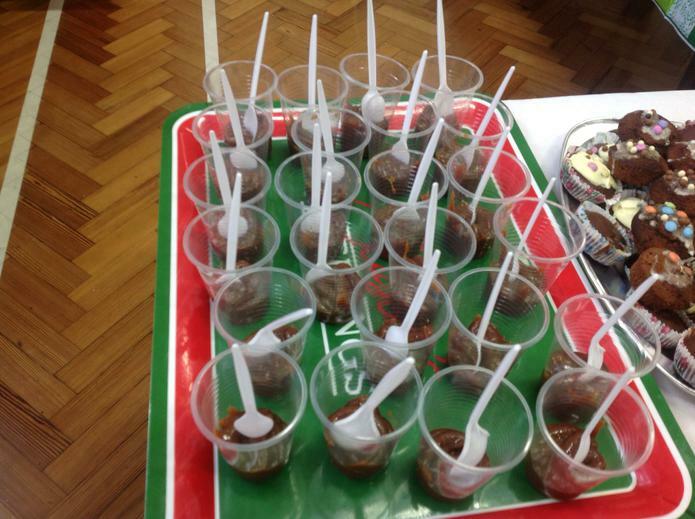 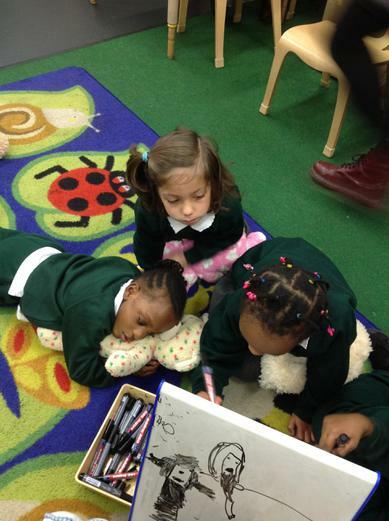 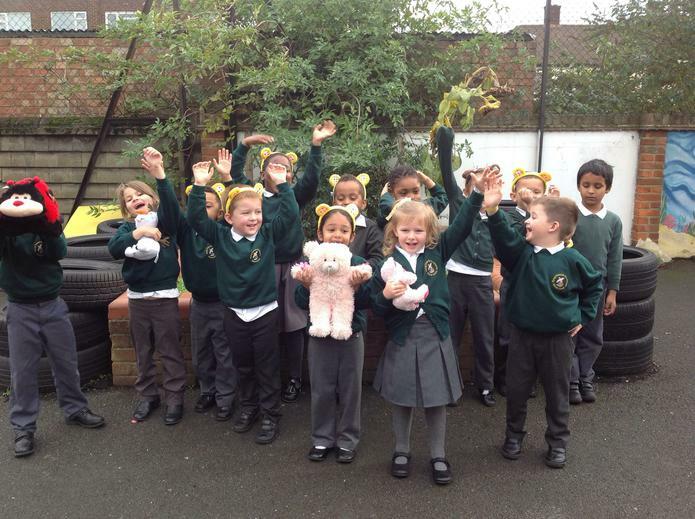 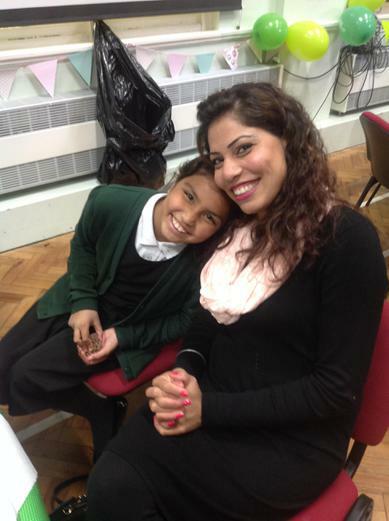 We raised £207.75 for Children In Need 2015 - Thank you Marsh Green friends and family! 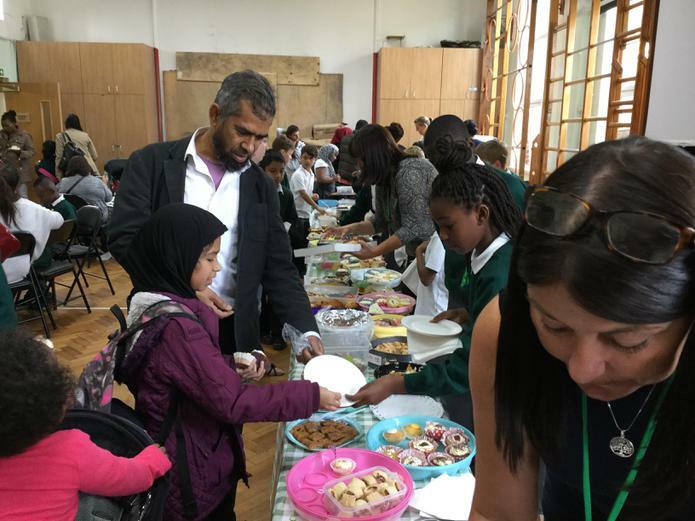 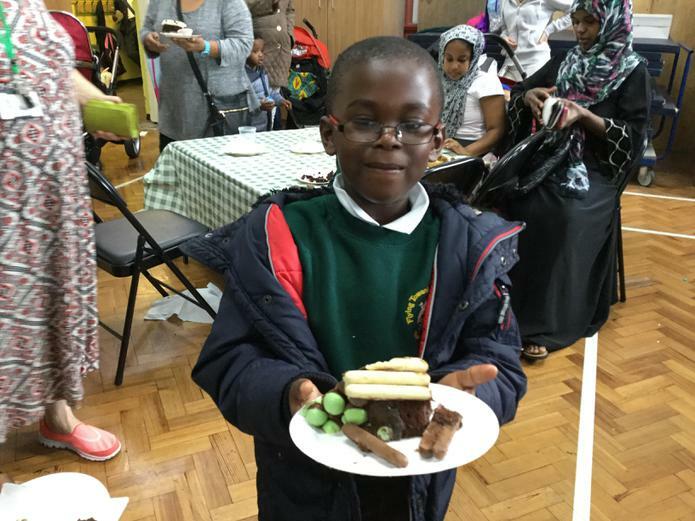 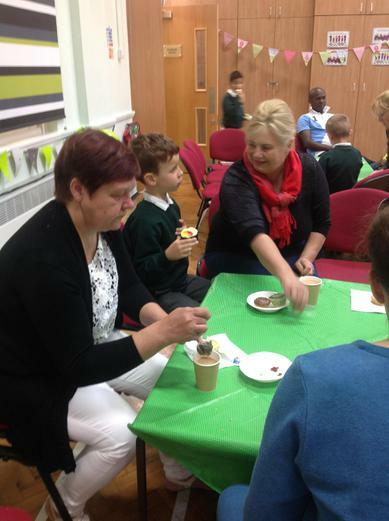 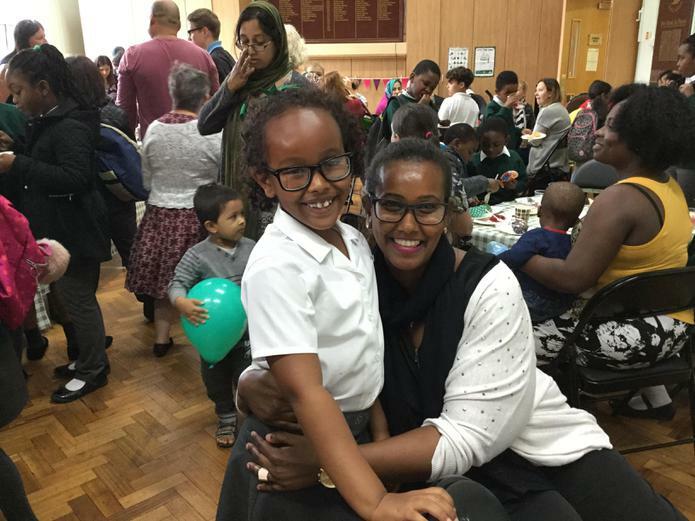 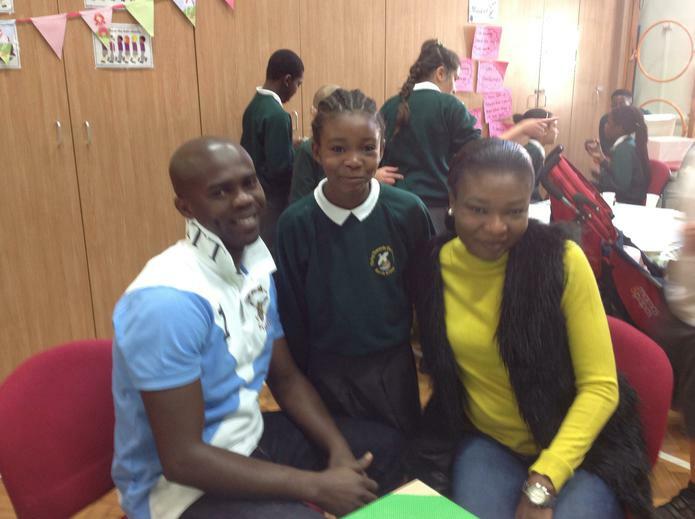 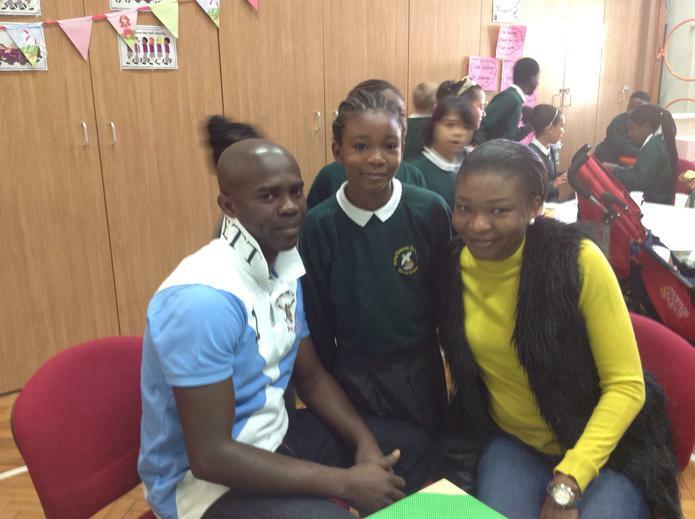 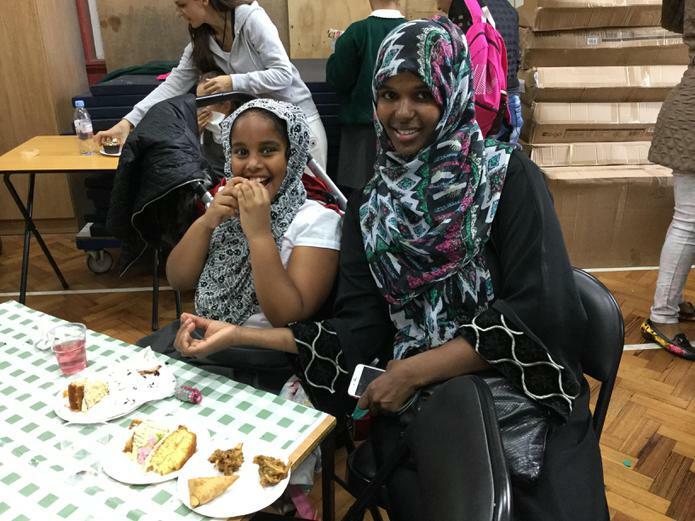 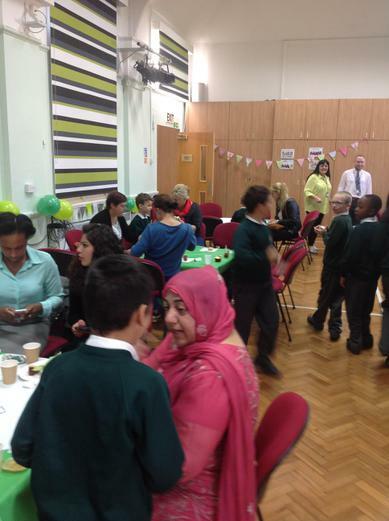 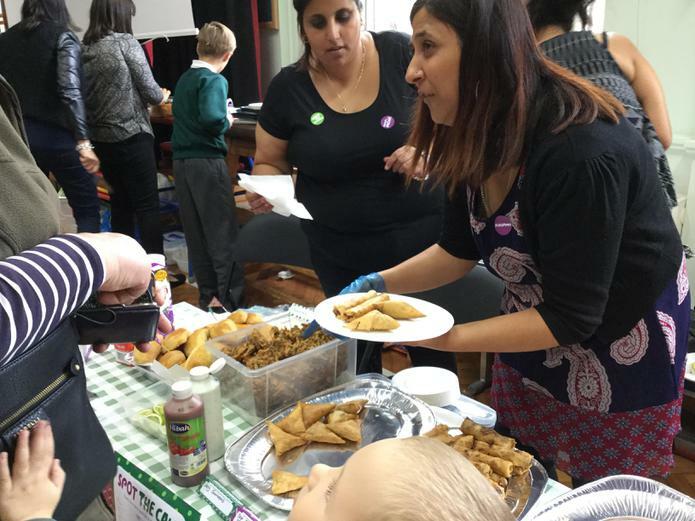 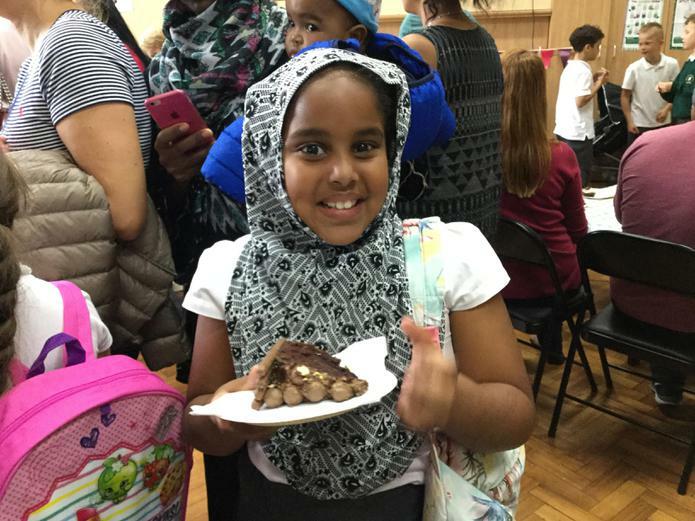 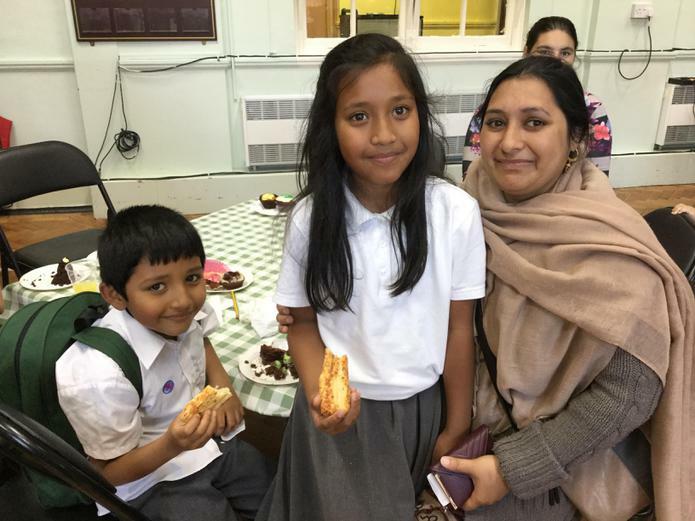 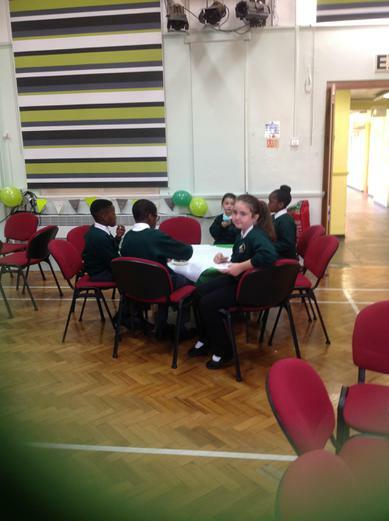 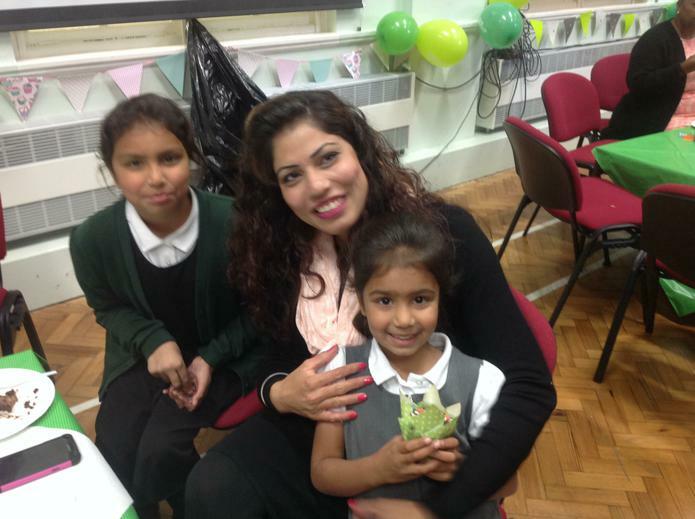 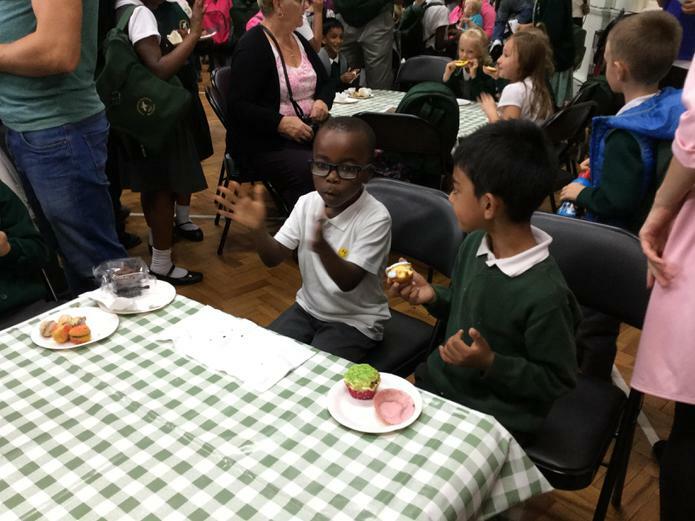 This year we gathered together on the 12th October 2015 to celebrate Harvest. 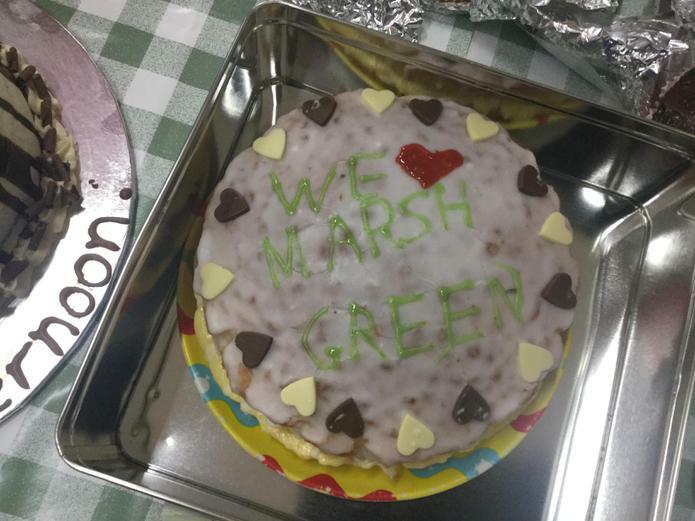 We showed what kind and caring members of Marsh Green we are by donating a considerable amount of food. 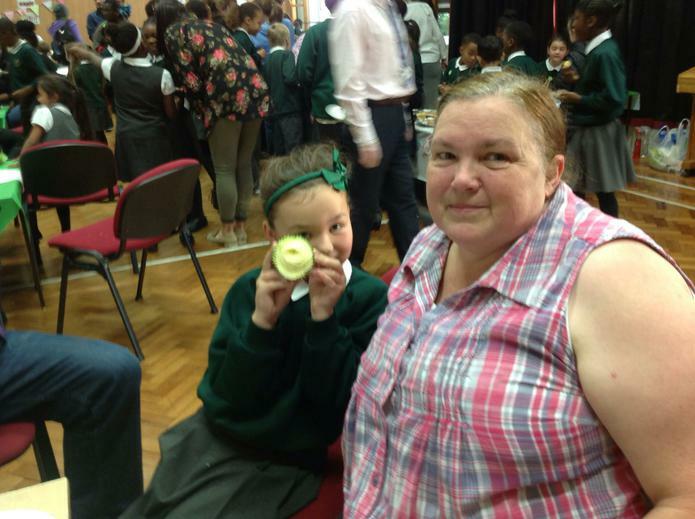 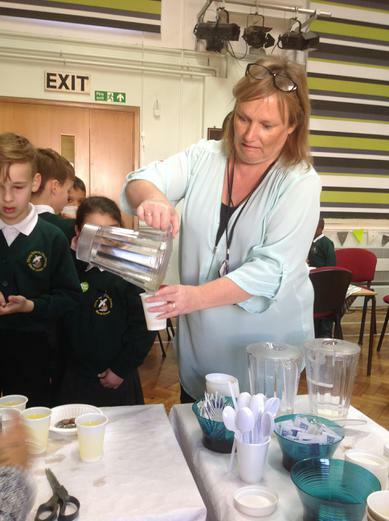 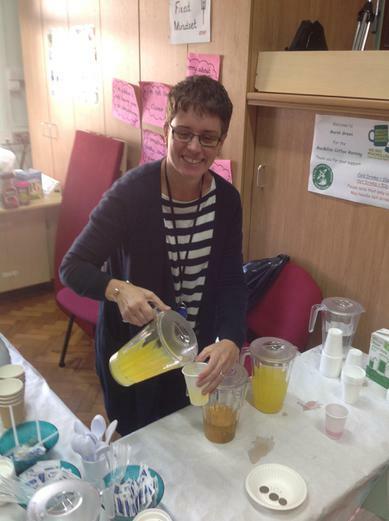 We were joined by Helen from the local charity "Mark McCarthy's Magic Moments" who explained the role of the charity in the local community and how the food will be distributed. 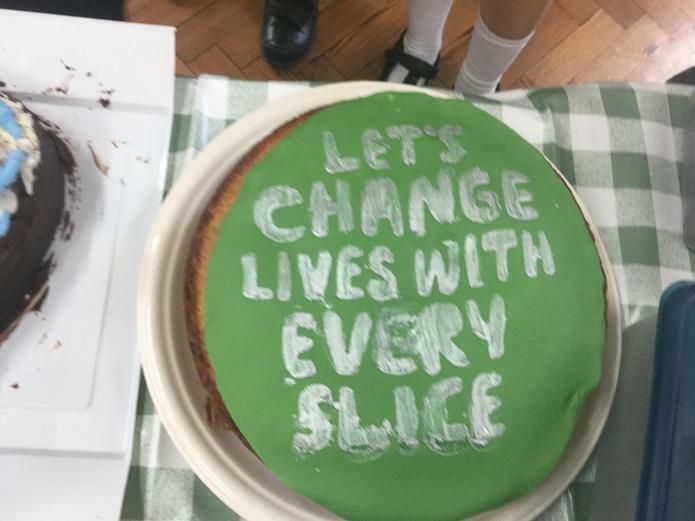 Thank you to everyone who helped to make a difference. 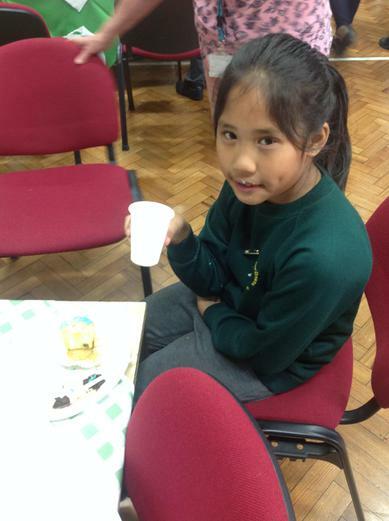 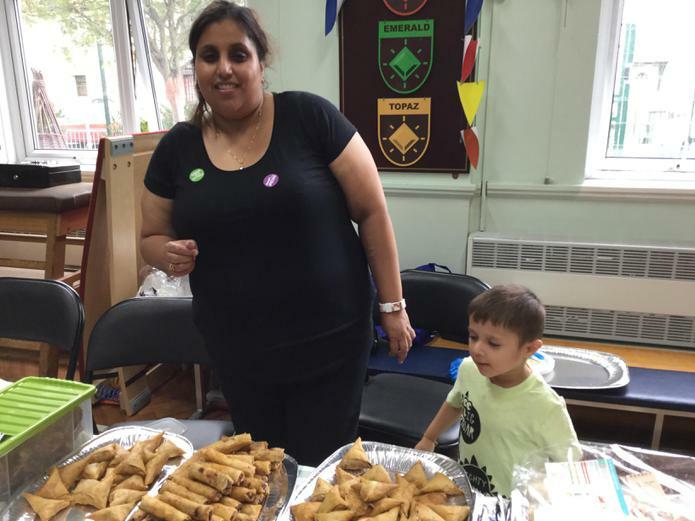 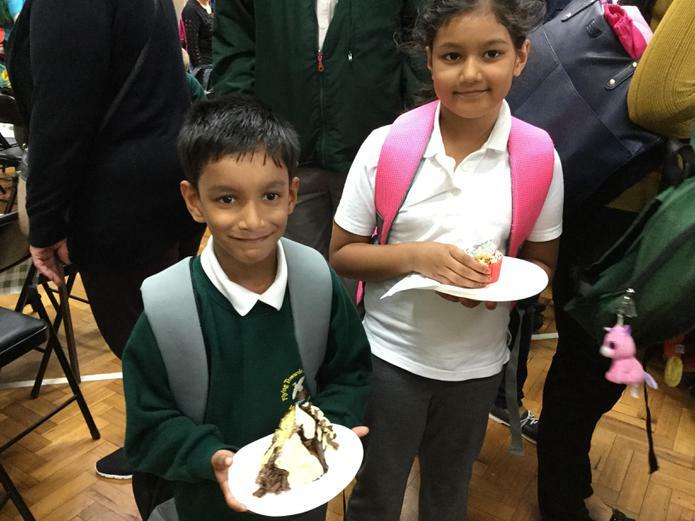 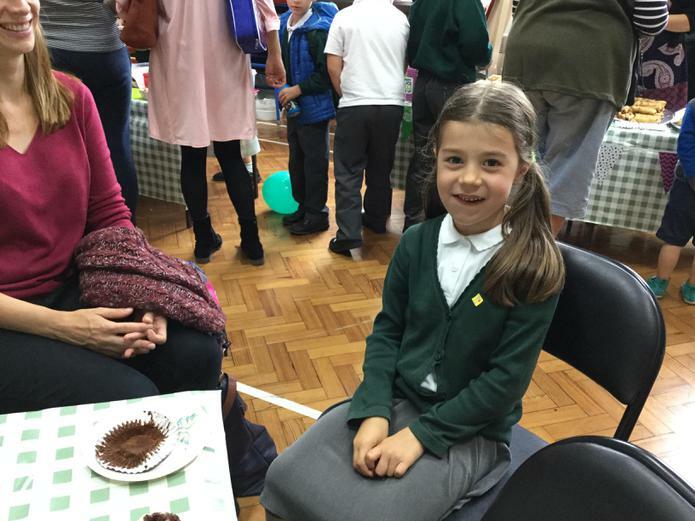 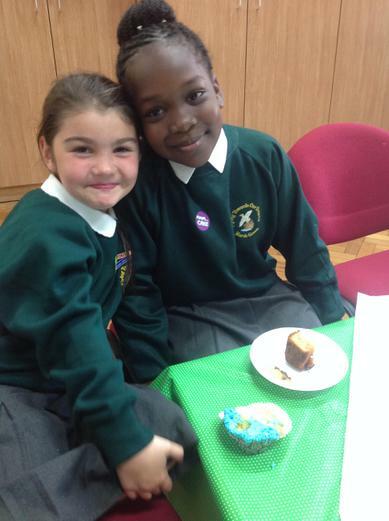 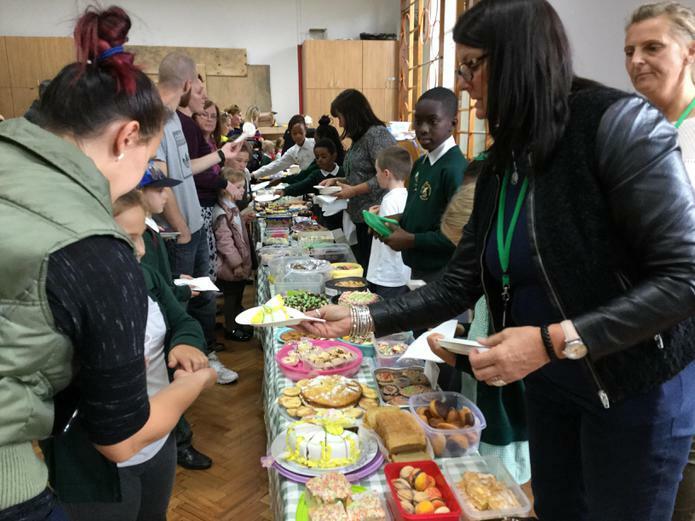 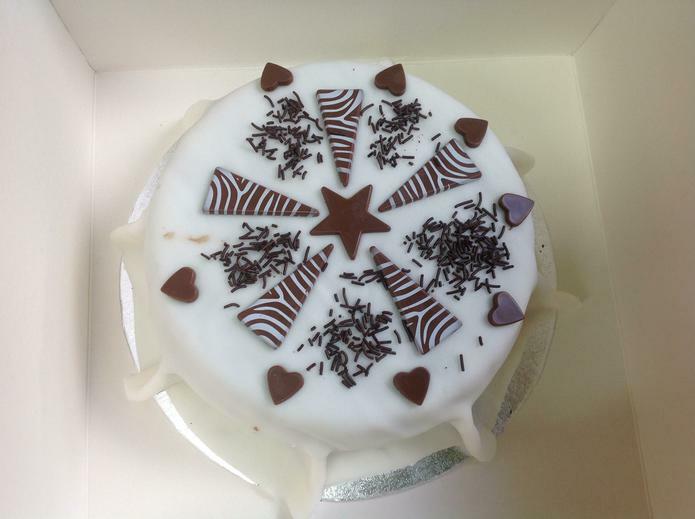 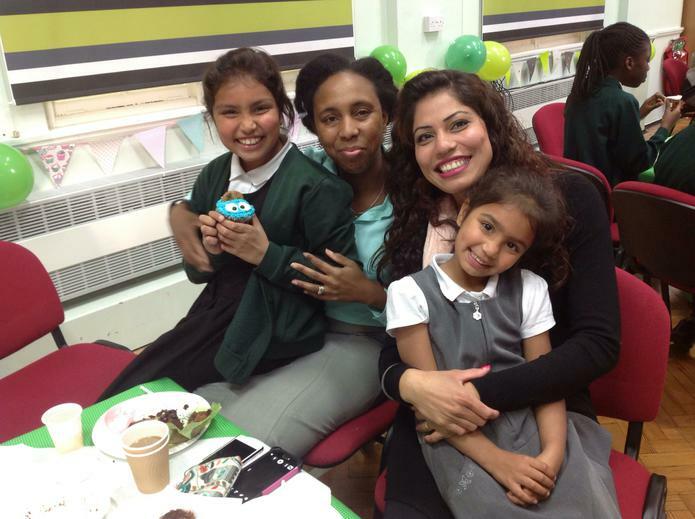 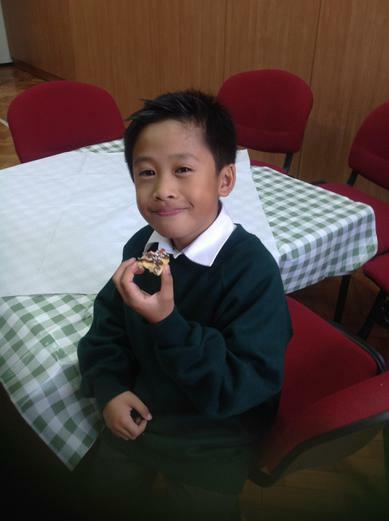 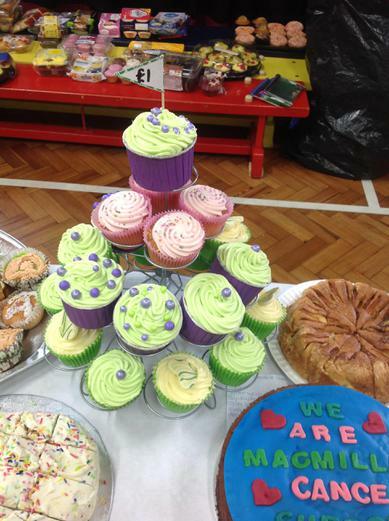 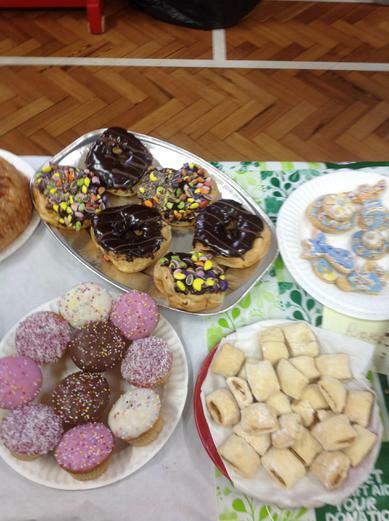 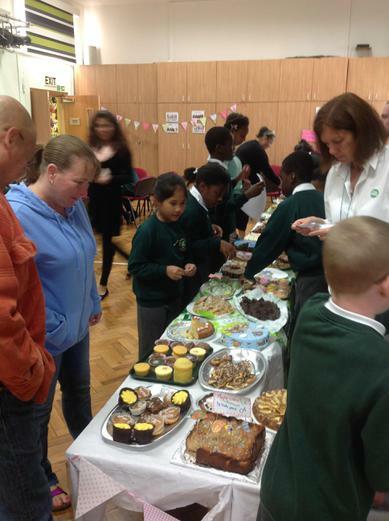 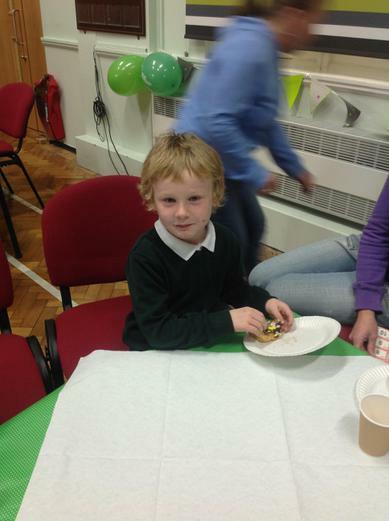 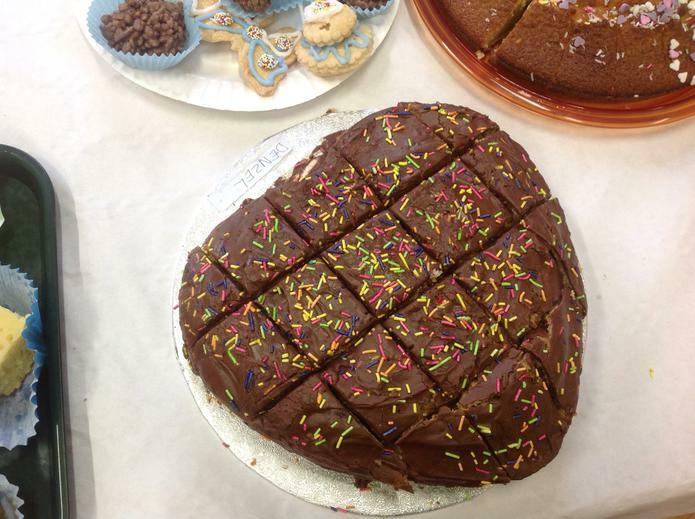 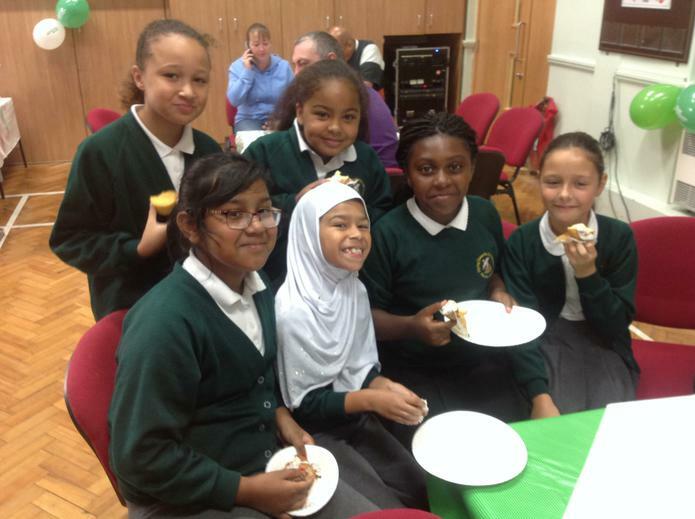 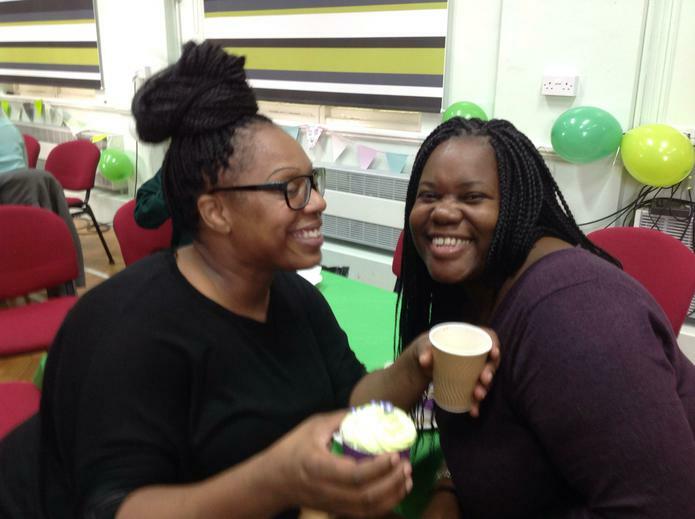 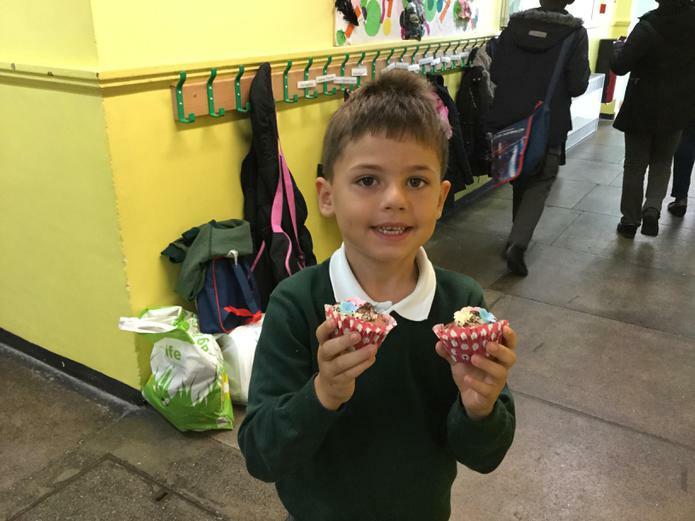 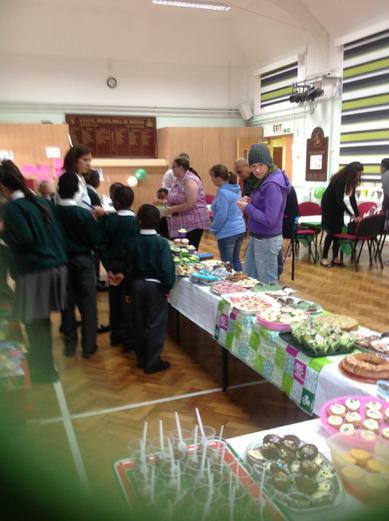 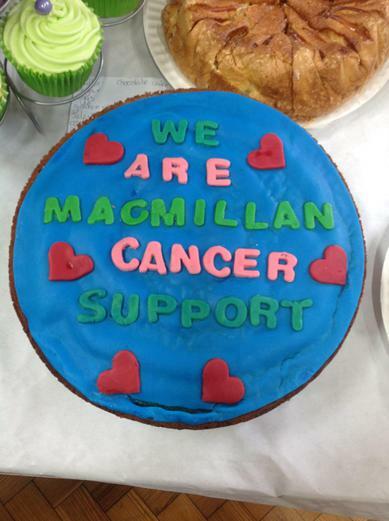 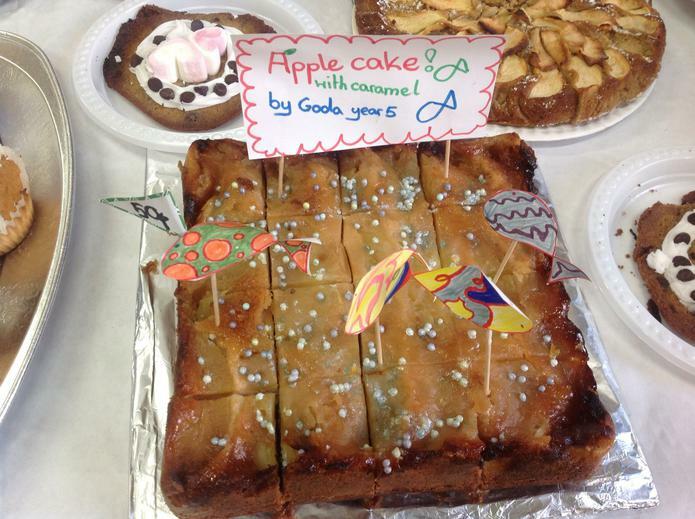 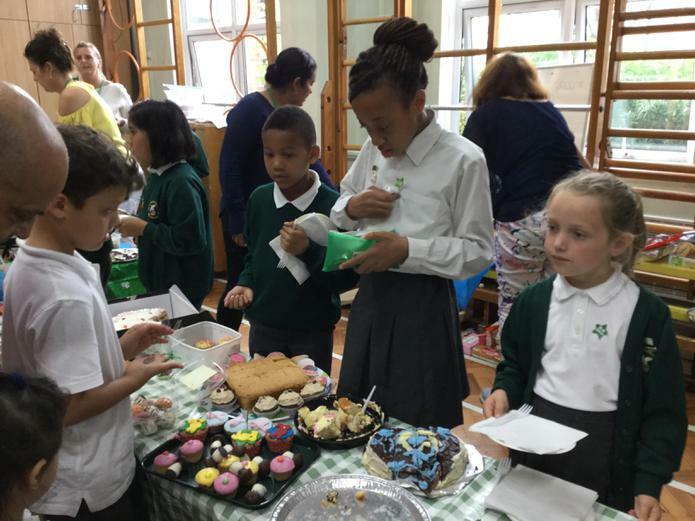 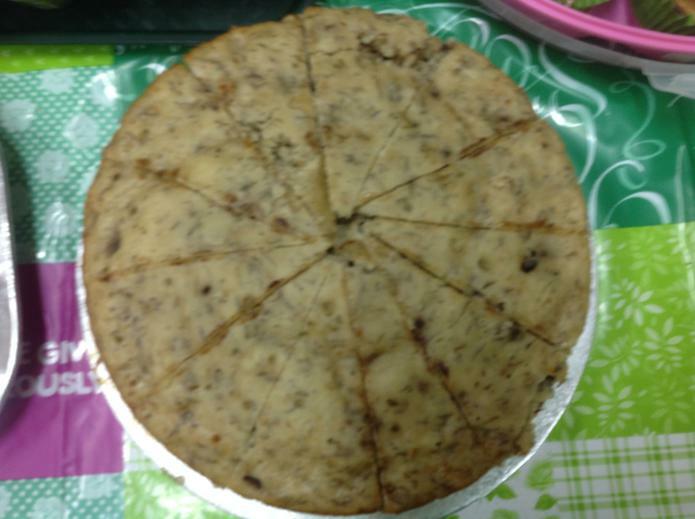 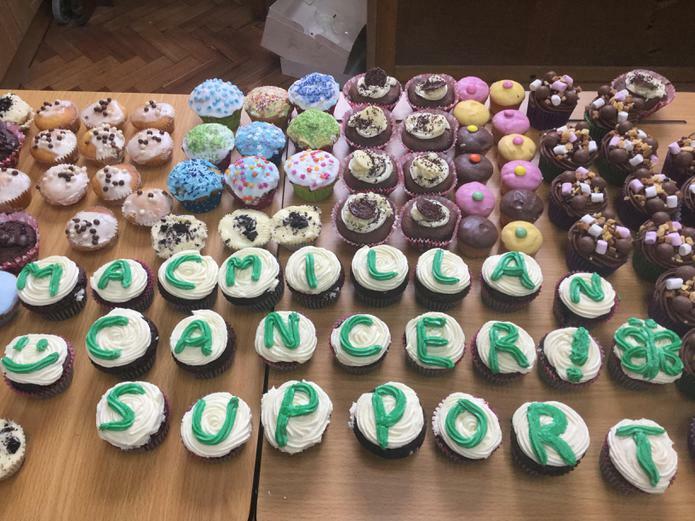 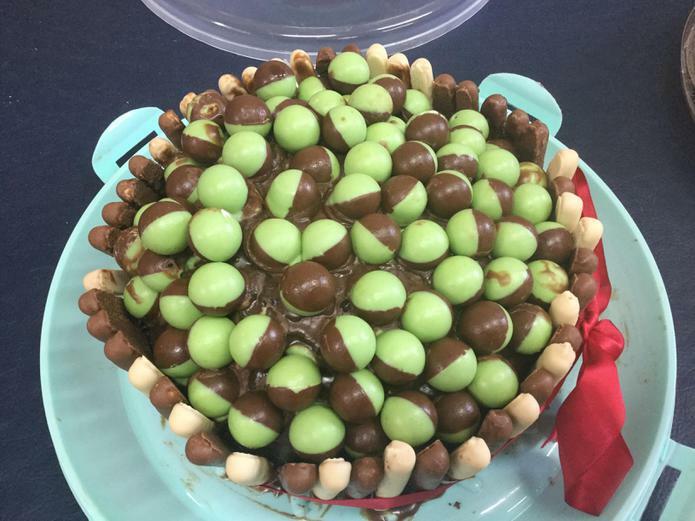 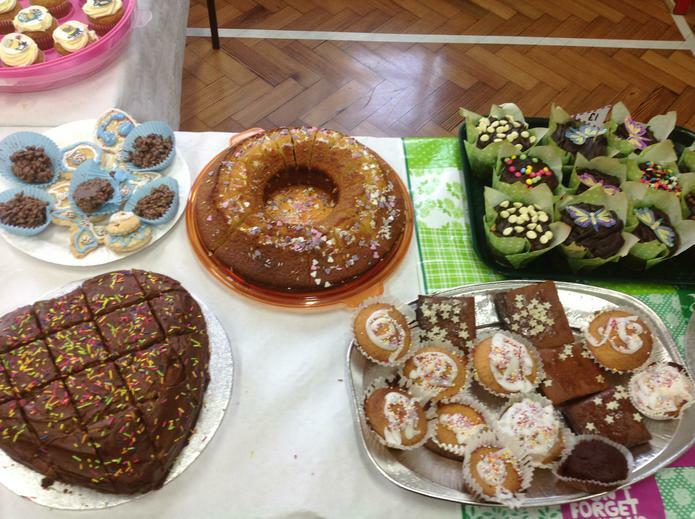 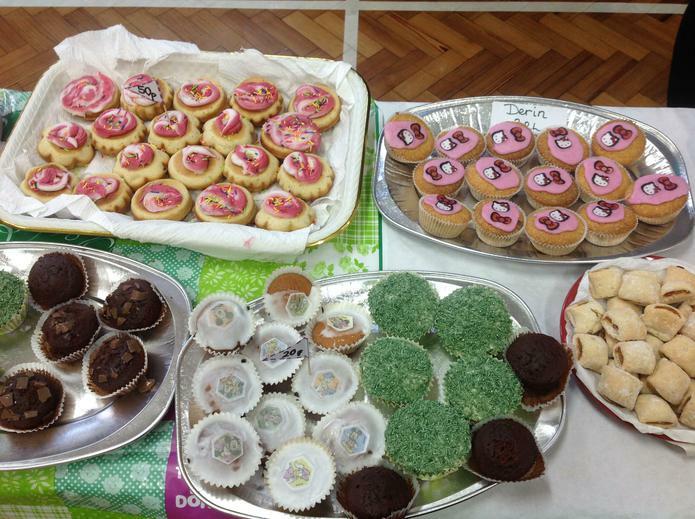 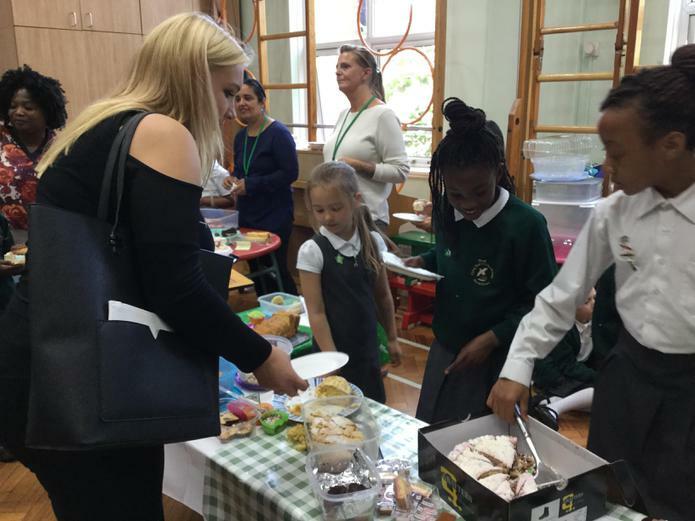 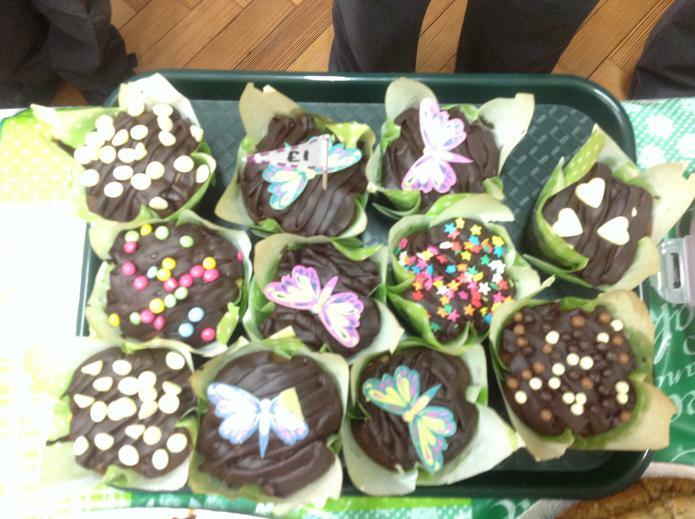 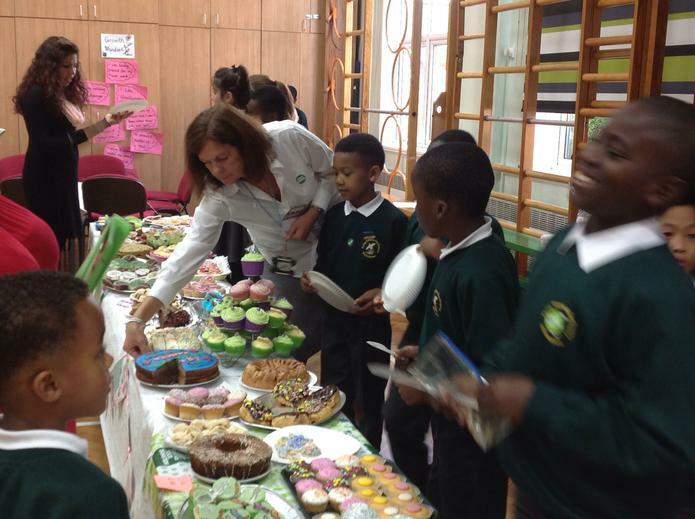 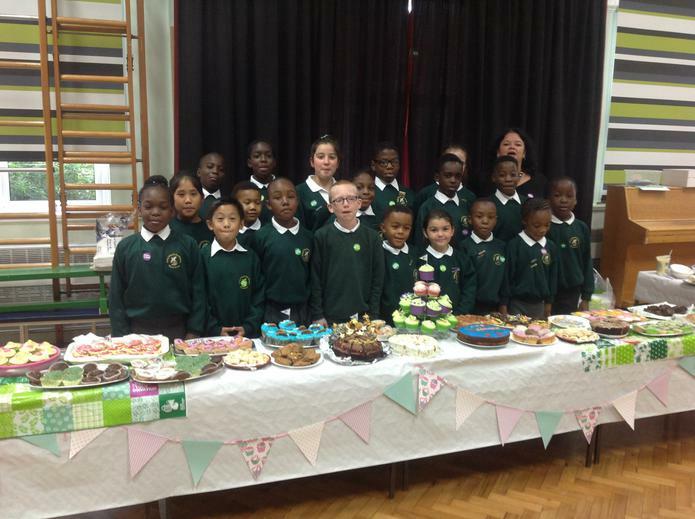 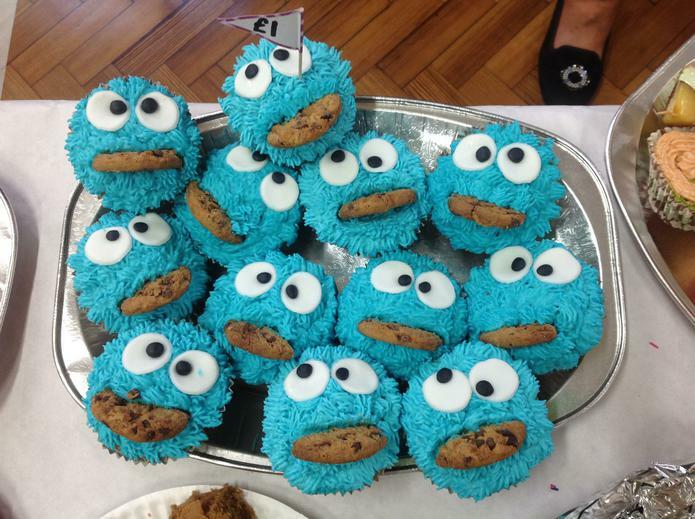 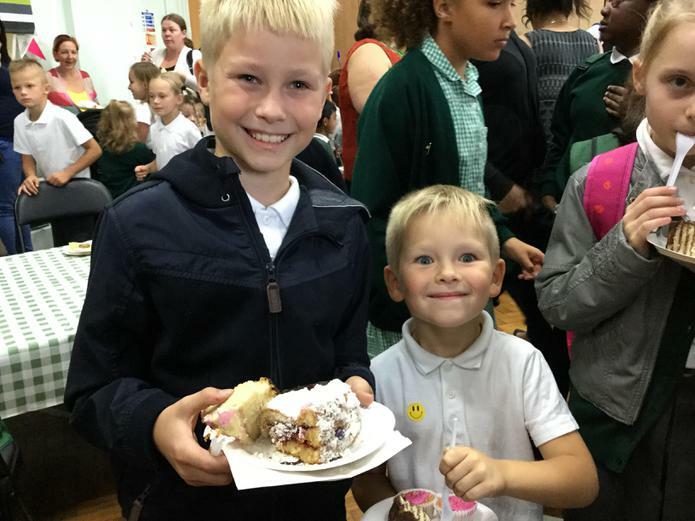 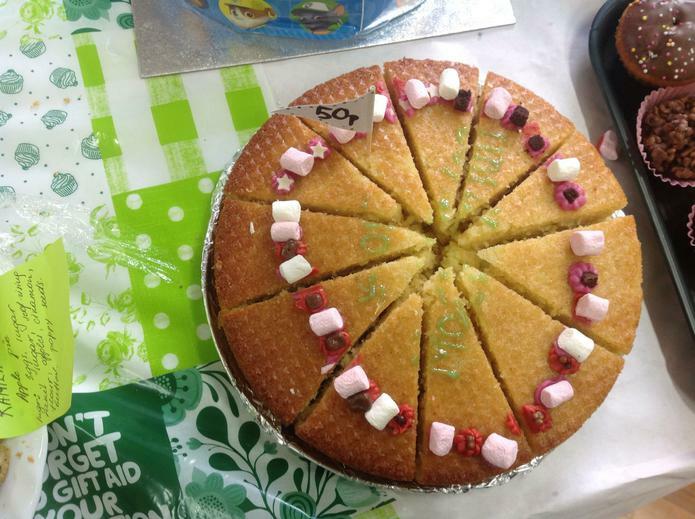 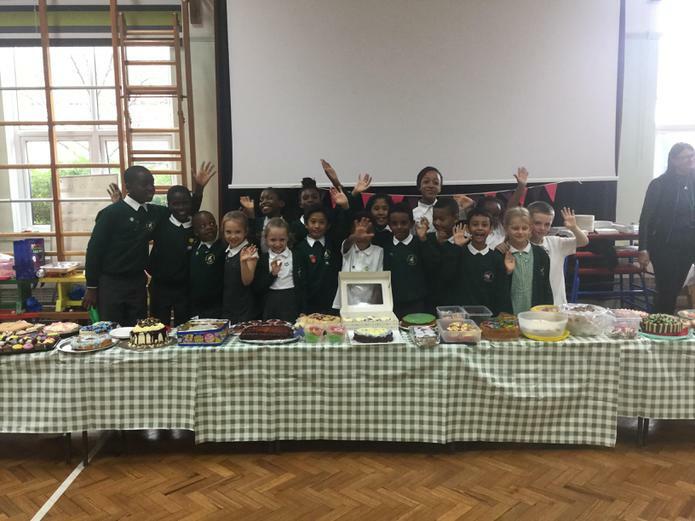 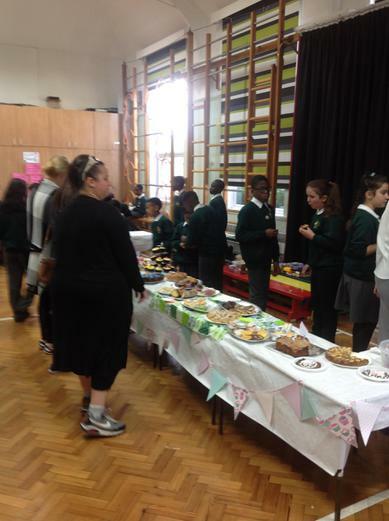 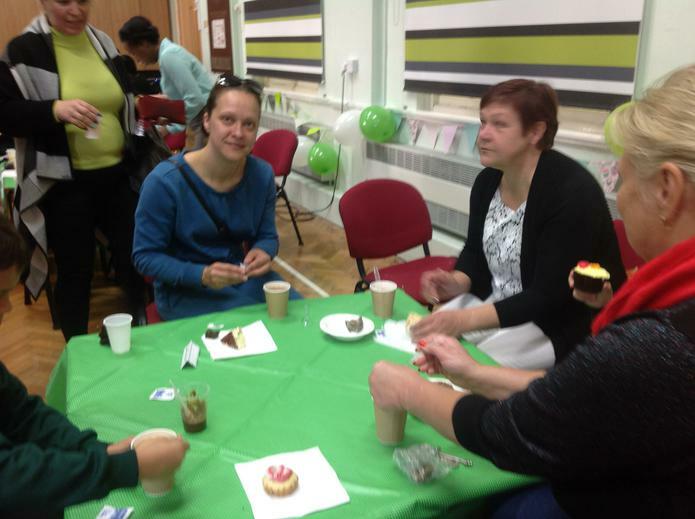 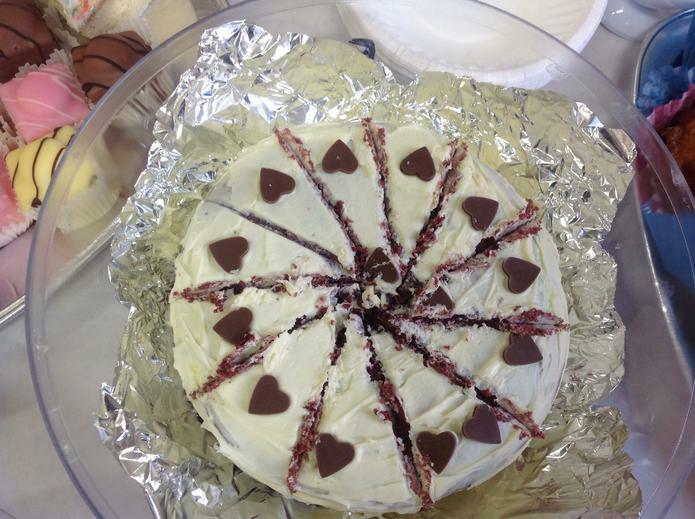 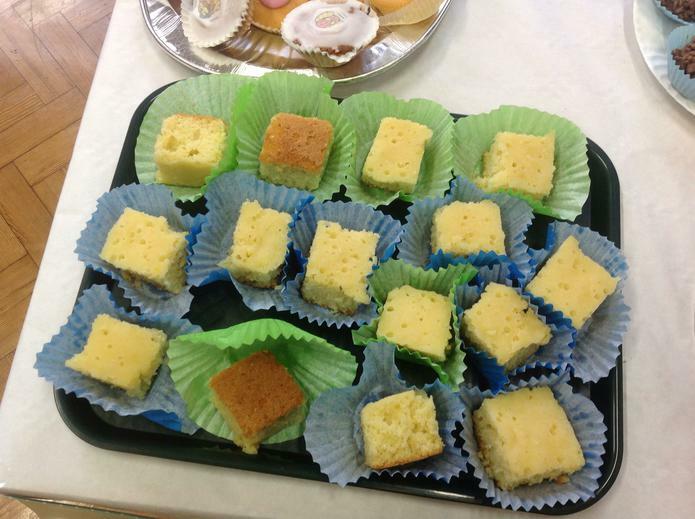 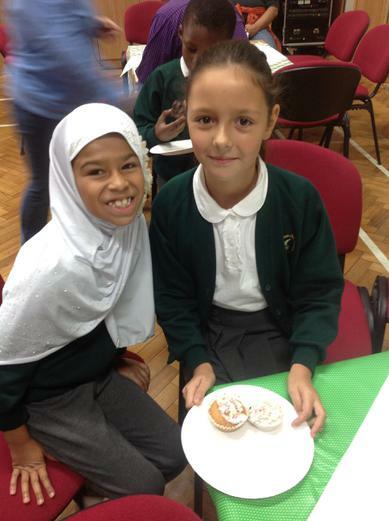 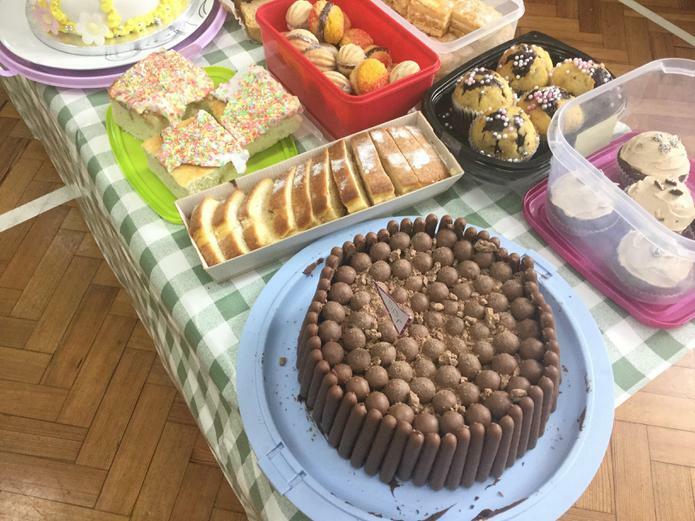 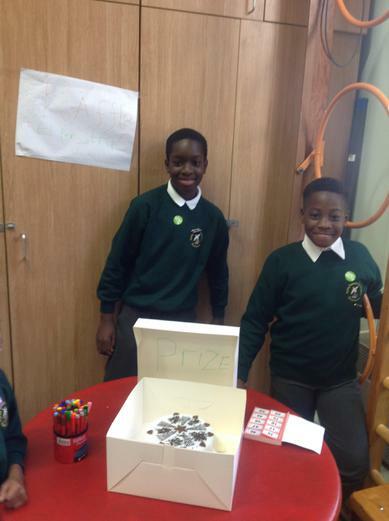 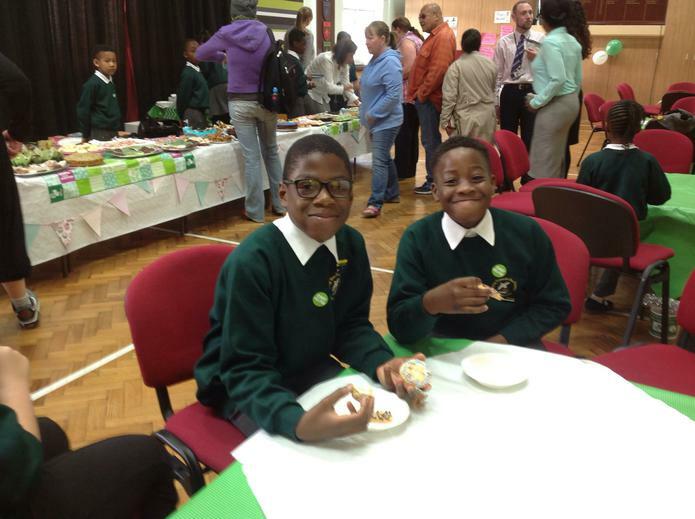 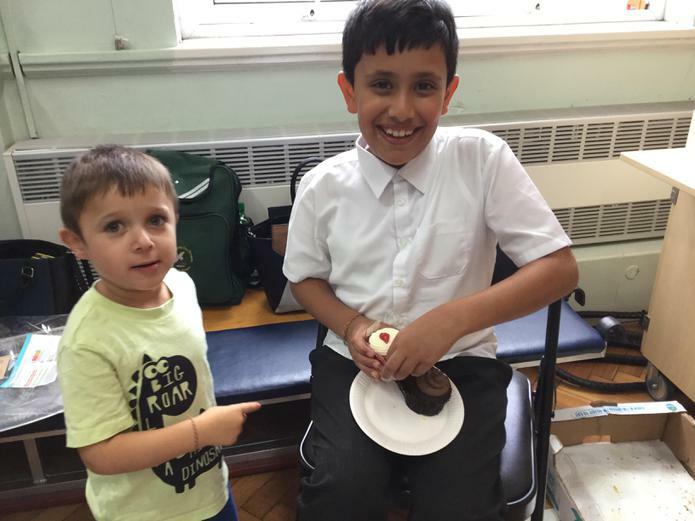 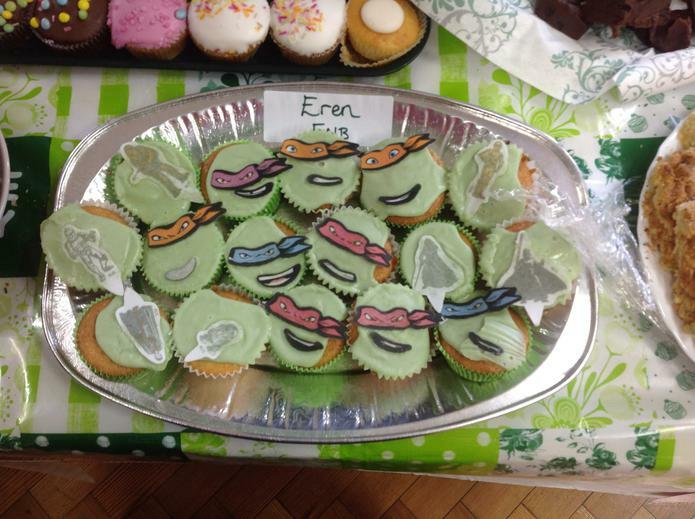 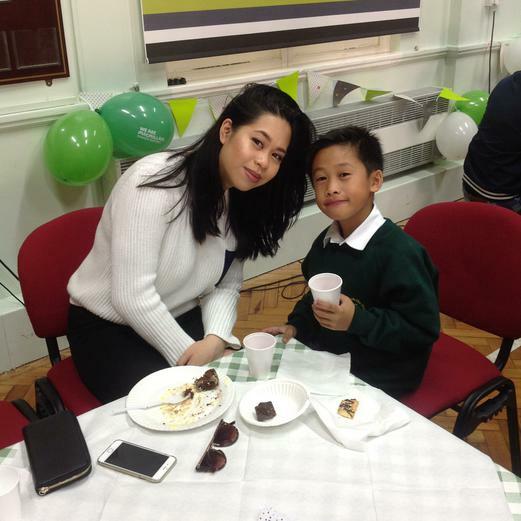 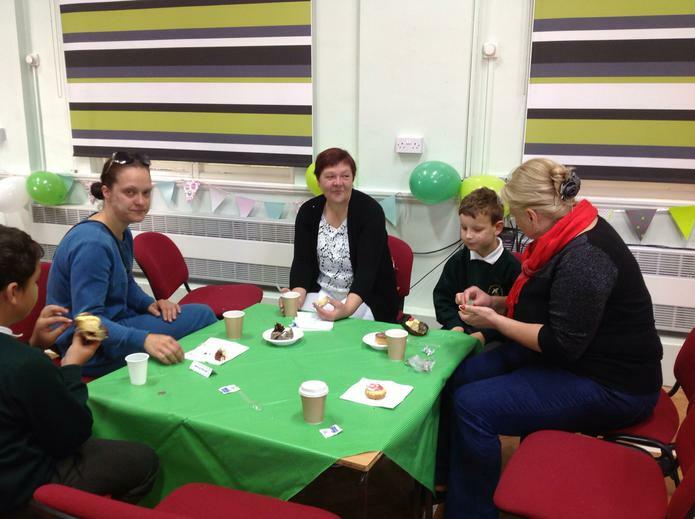 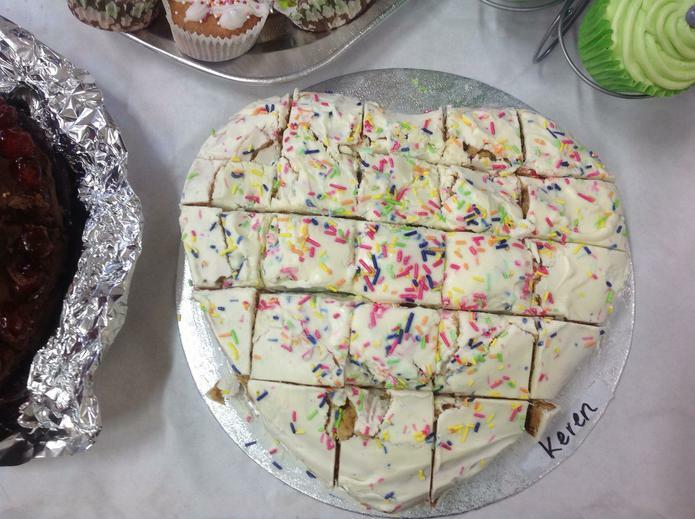 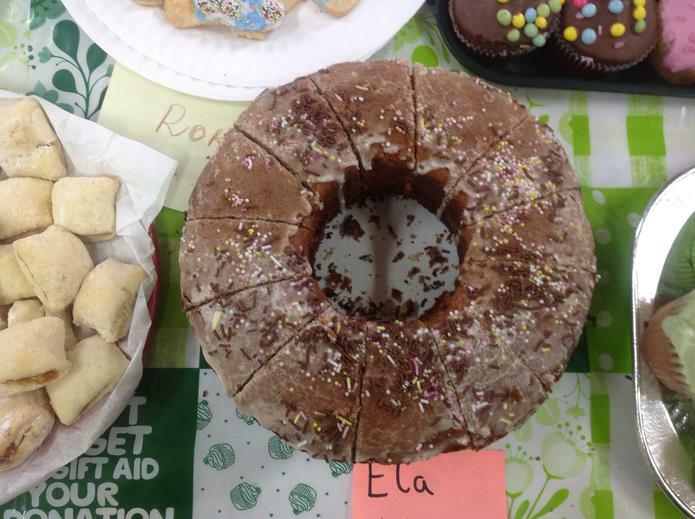 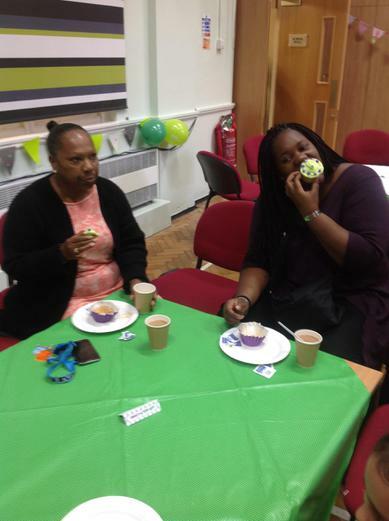 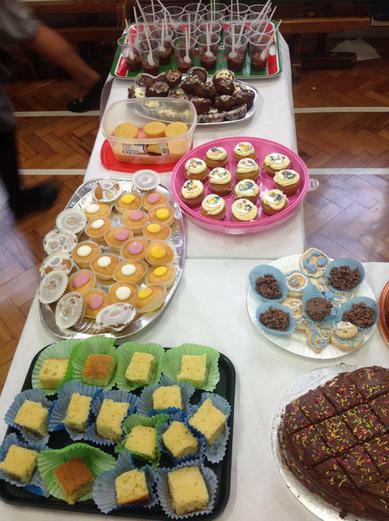 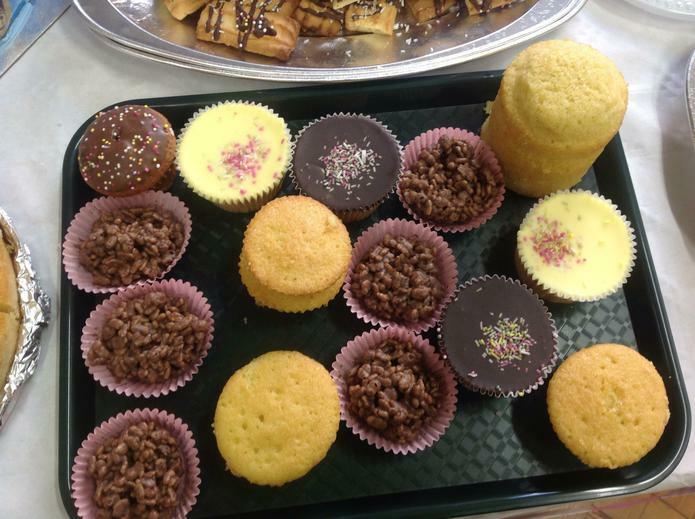 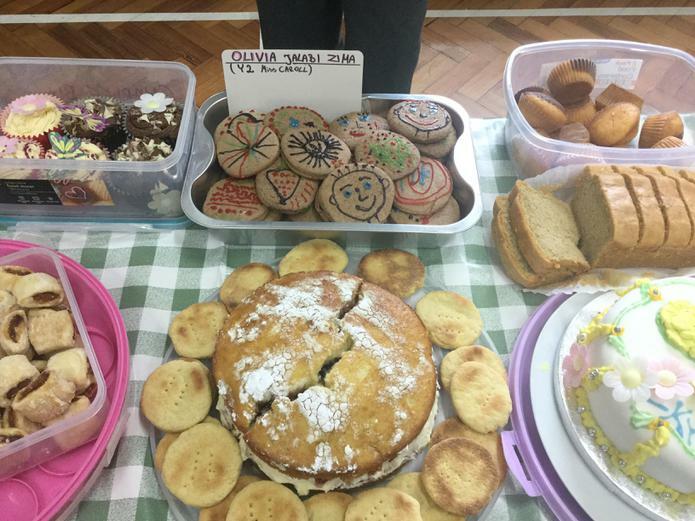 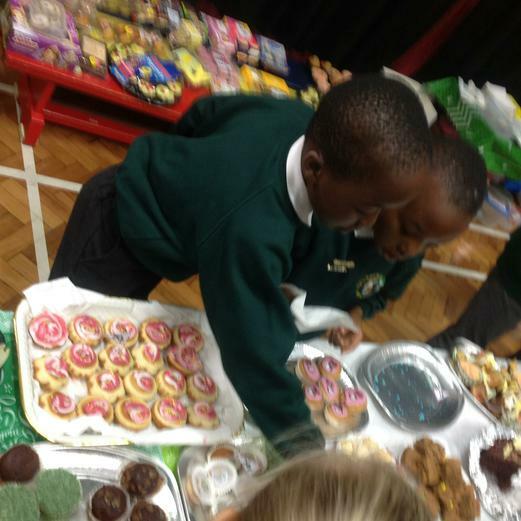 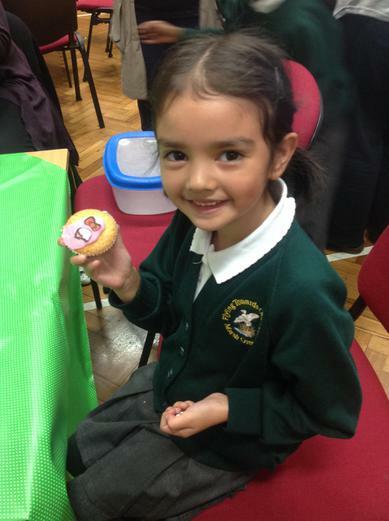 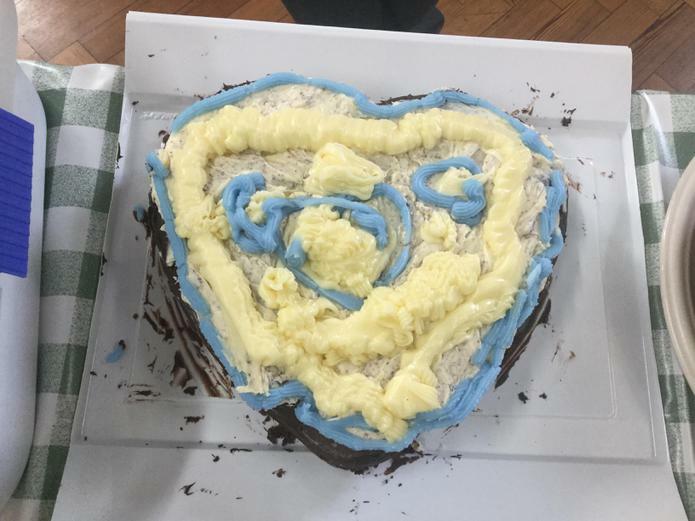 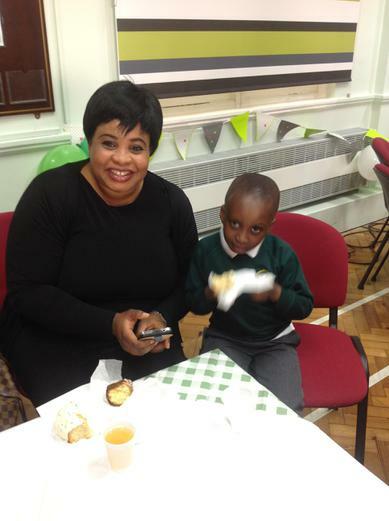 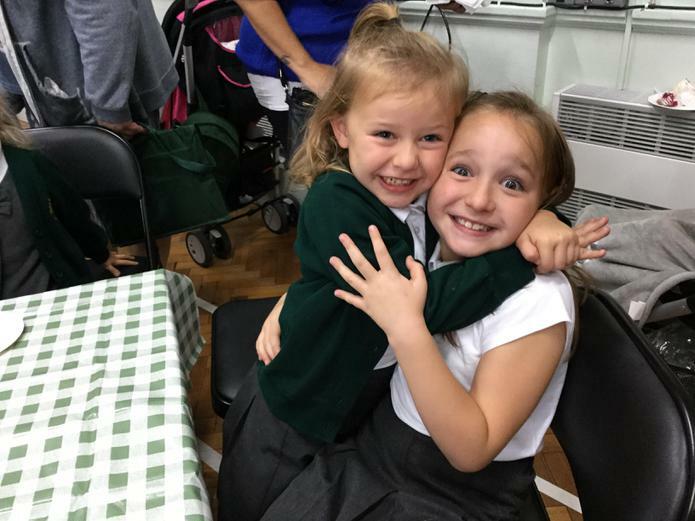 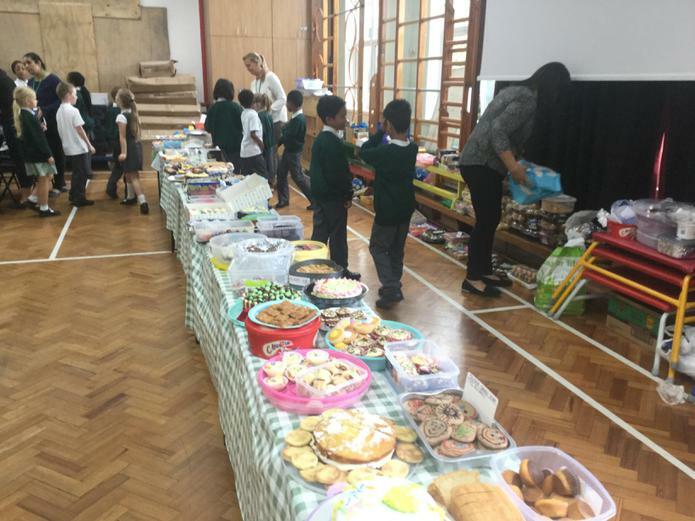 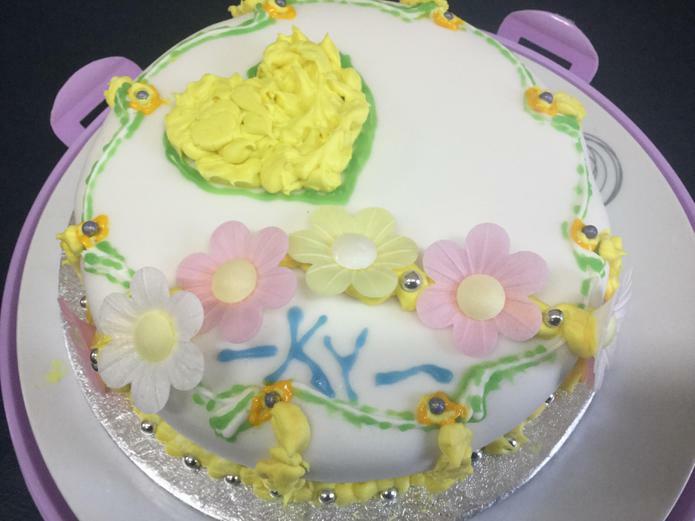 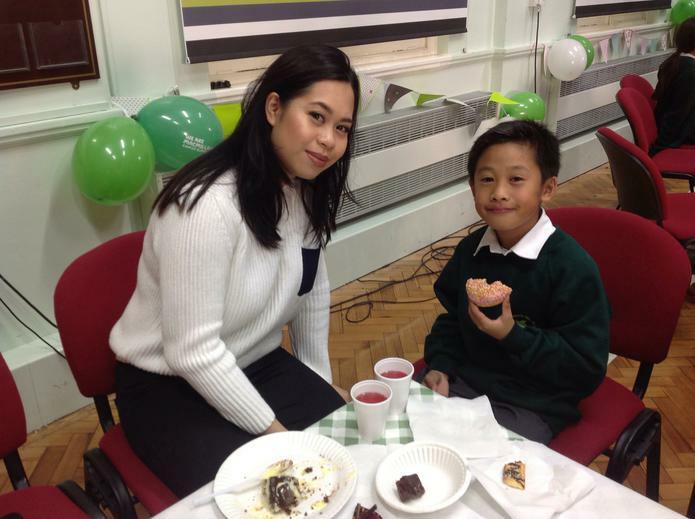 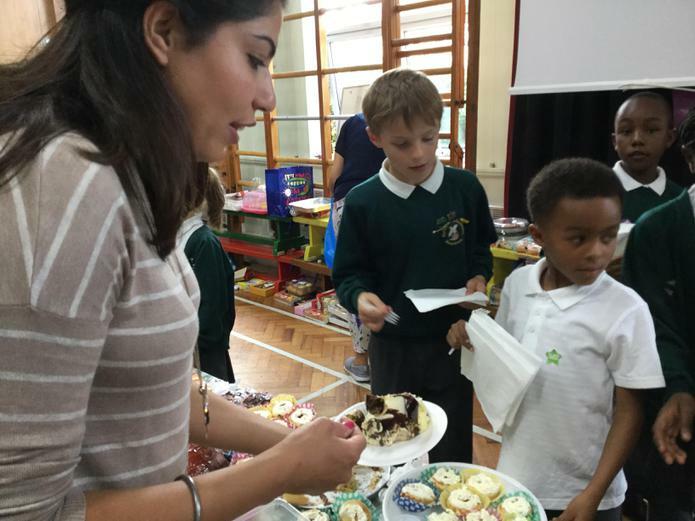 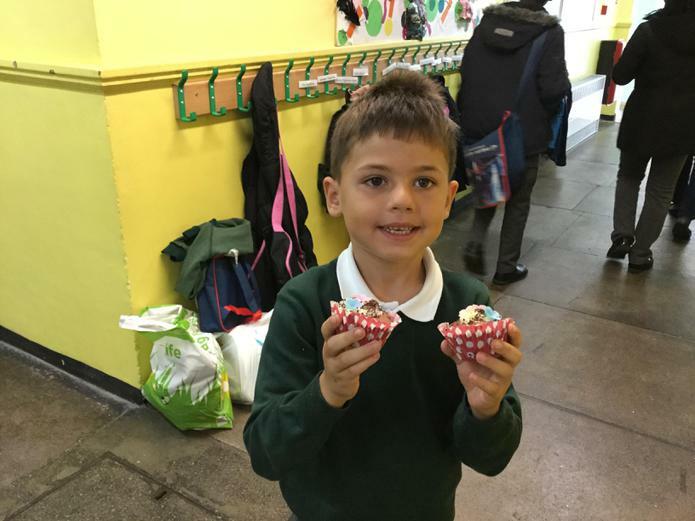 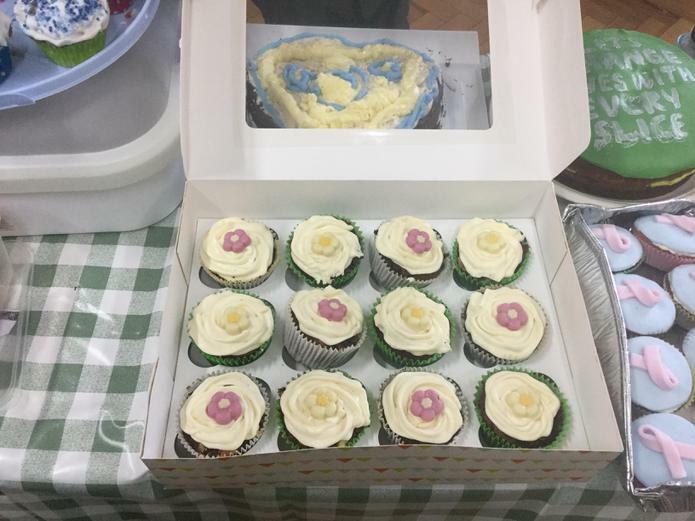 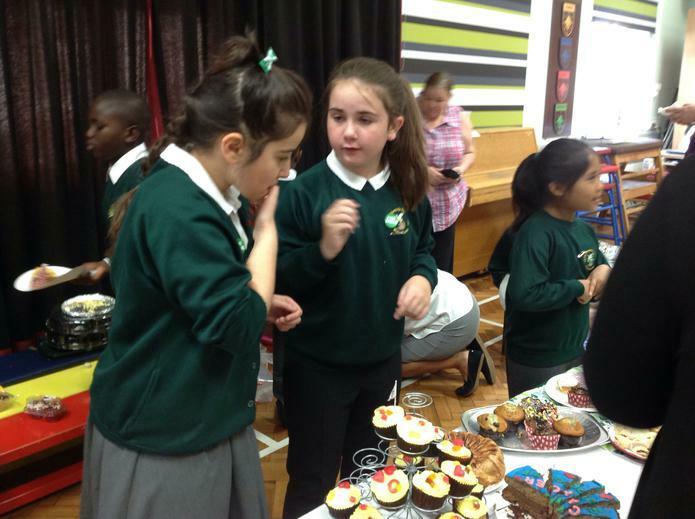 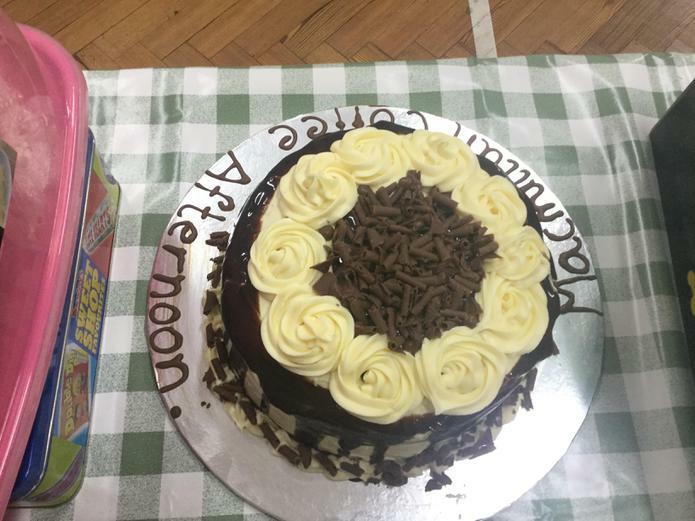 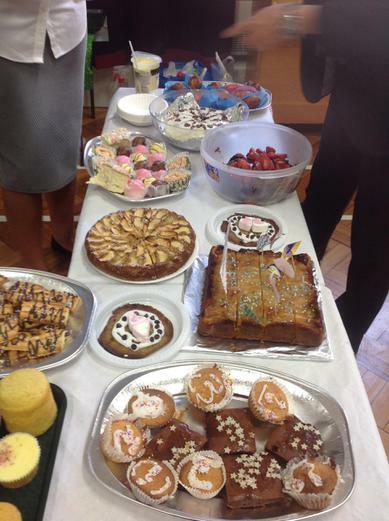 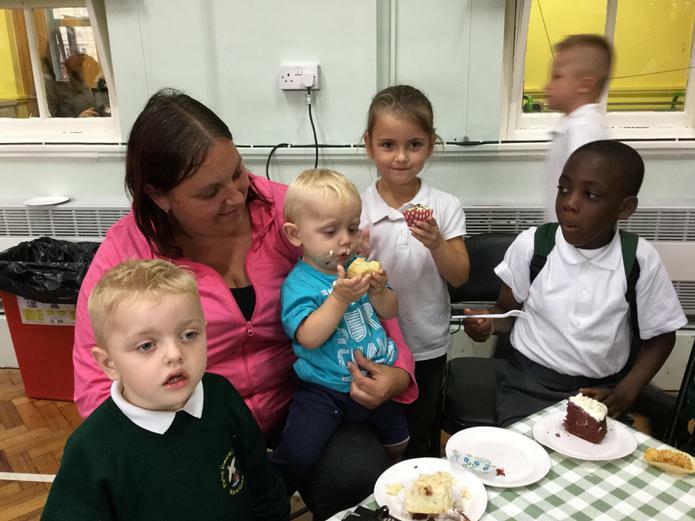 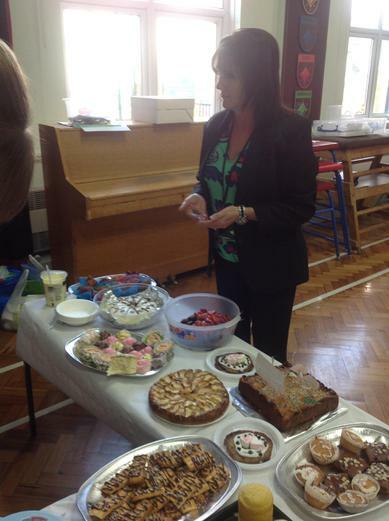 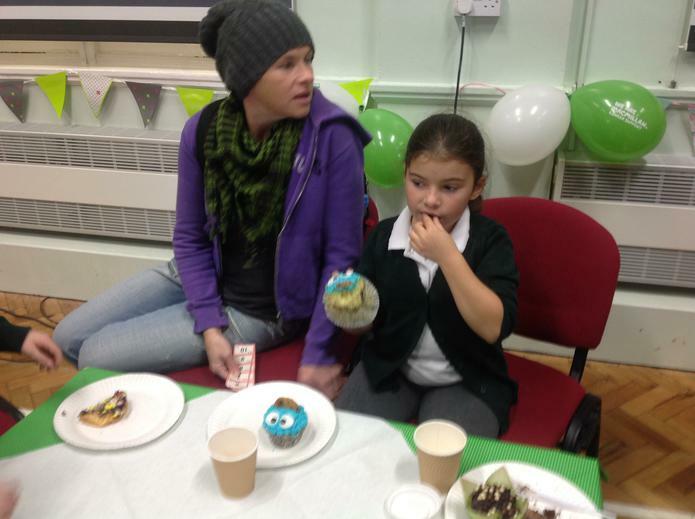 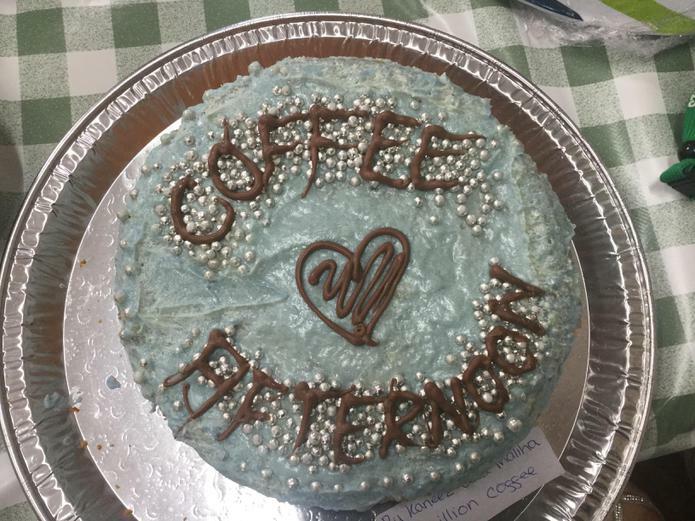 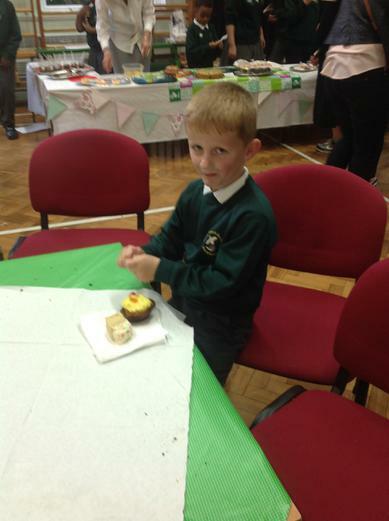 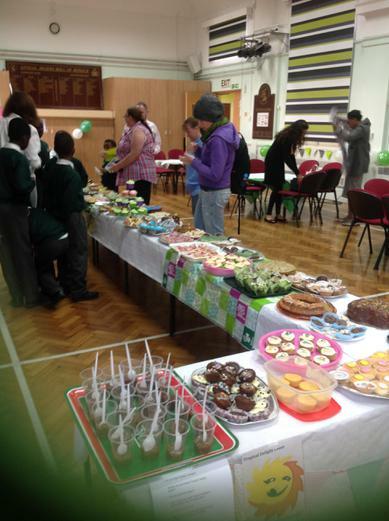 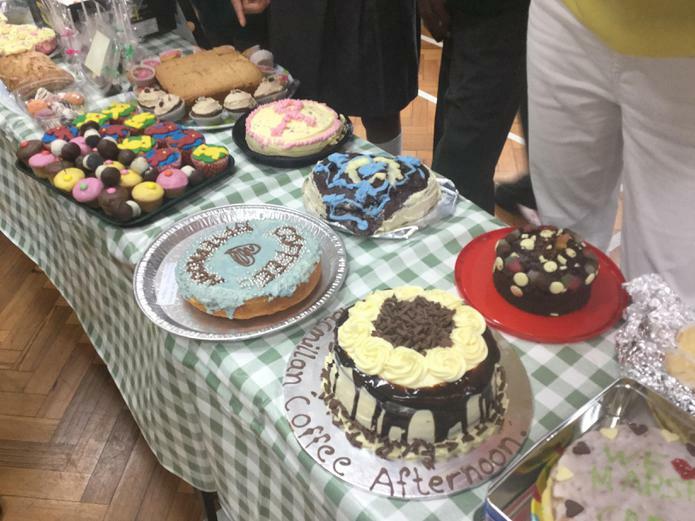 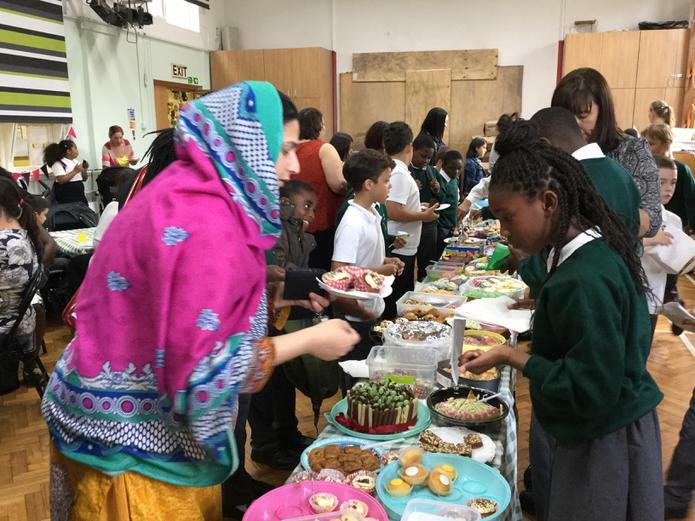 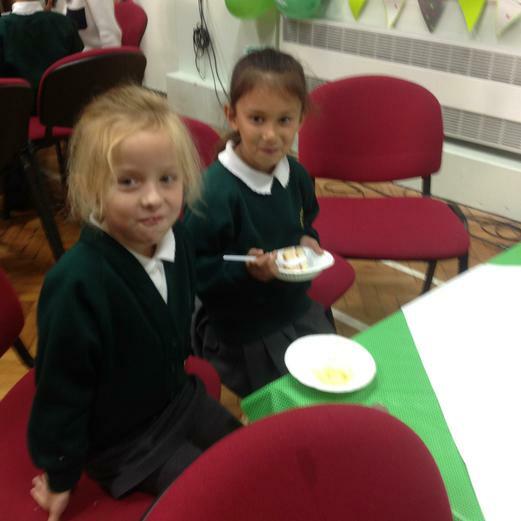 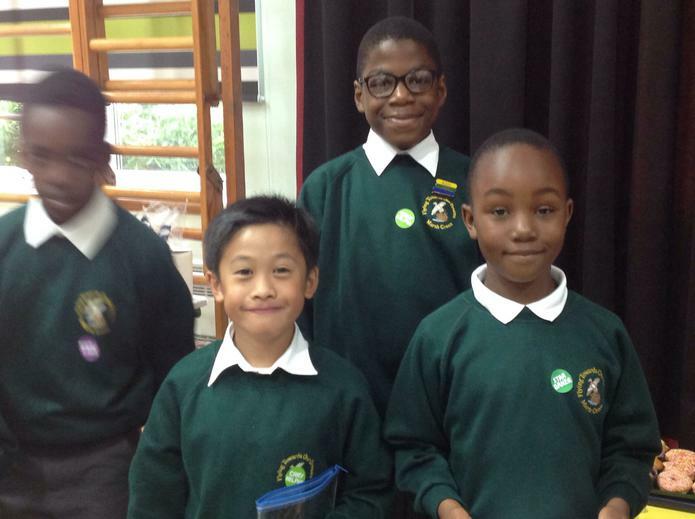 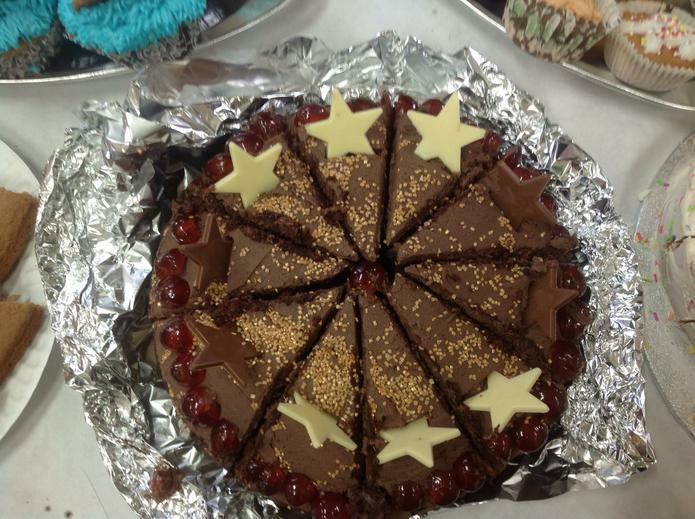 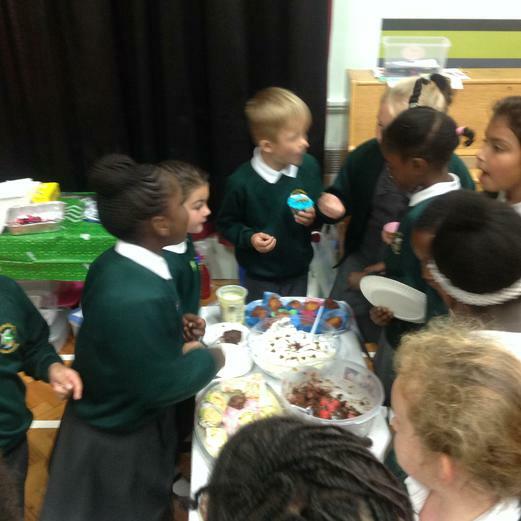 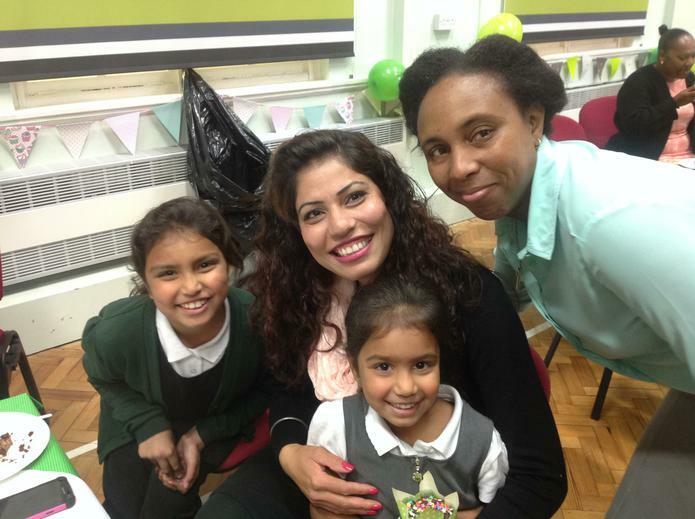 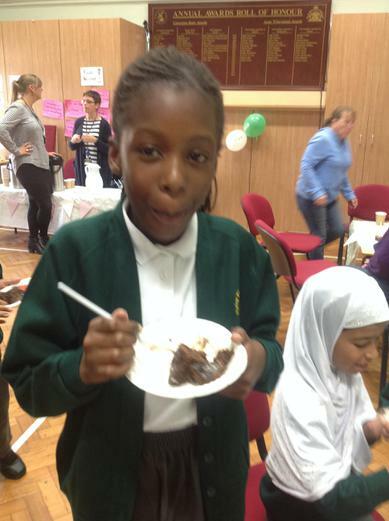 We raised £200.54 for MacMillan in 2015 - thank you to everyone who made and bought cakes!